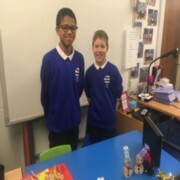 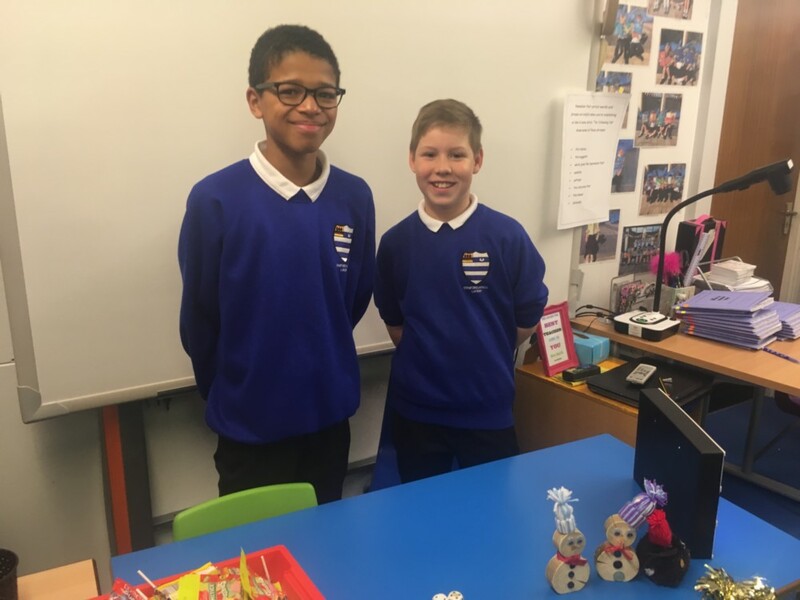 Well done to the winners of the Juniper Class 'Design an Easter Egg' competition. 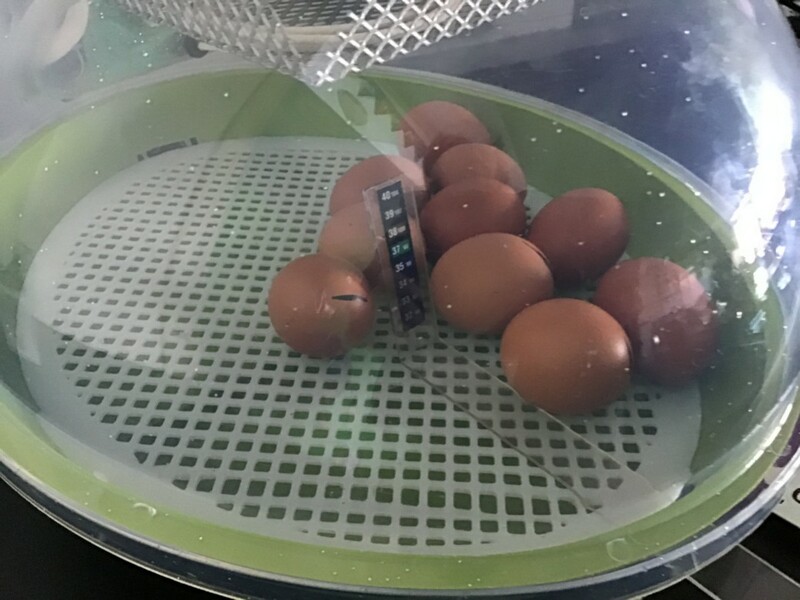 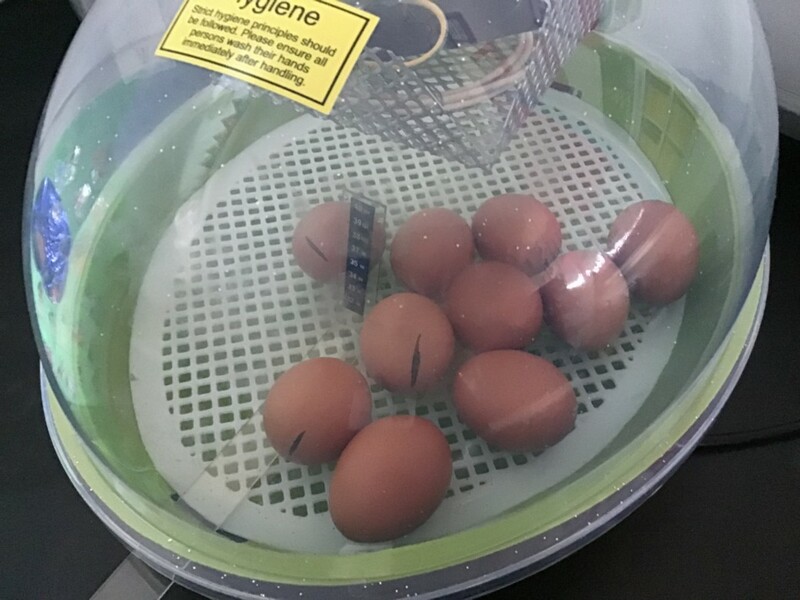 All the eggs looked wonderful. 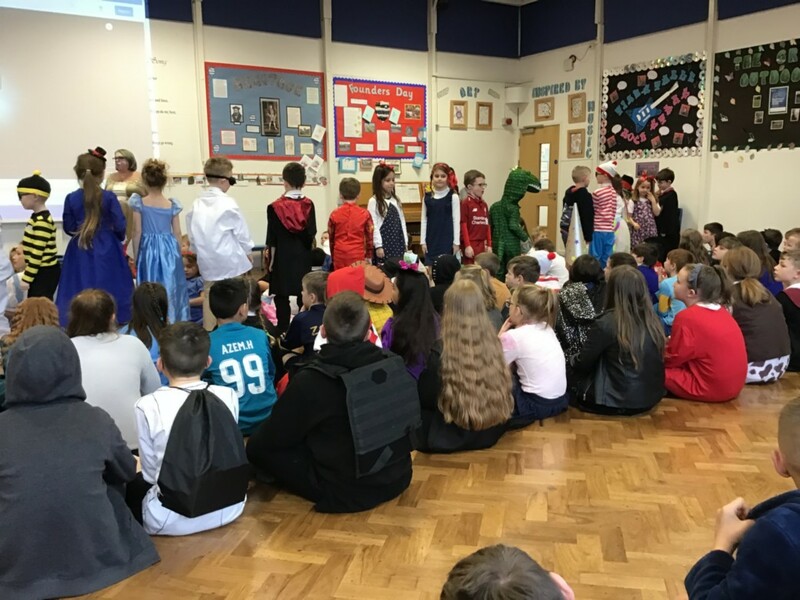 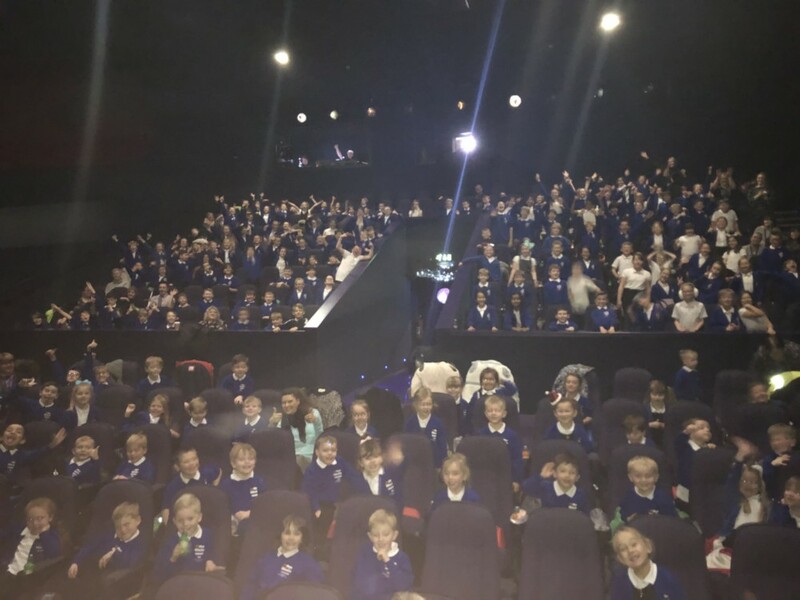 A fantastic day was had by all pupils in Key Stage 2! They worked collaboratively with their peers and rotated around the four different activities in the morning. 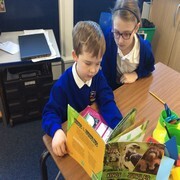 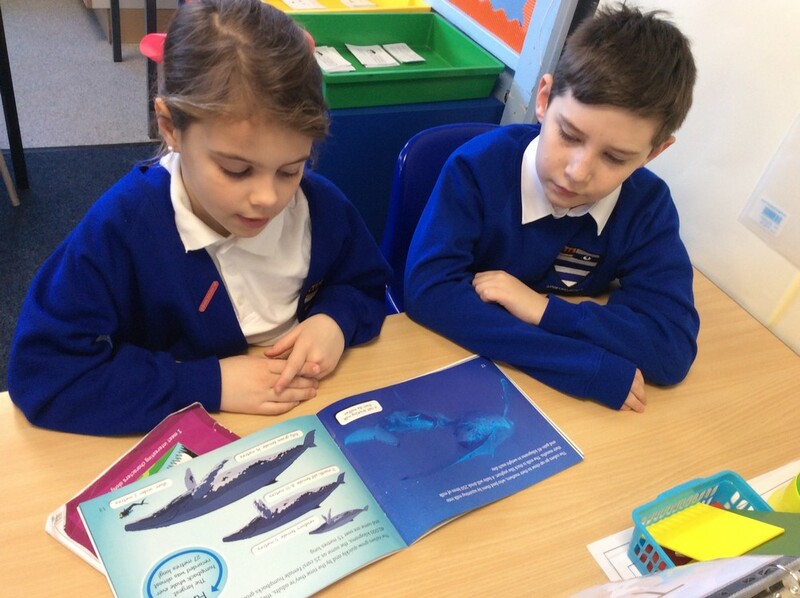 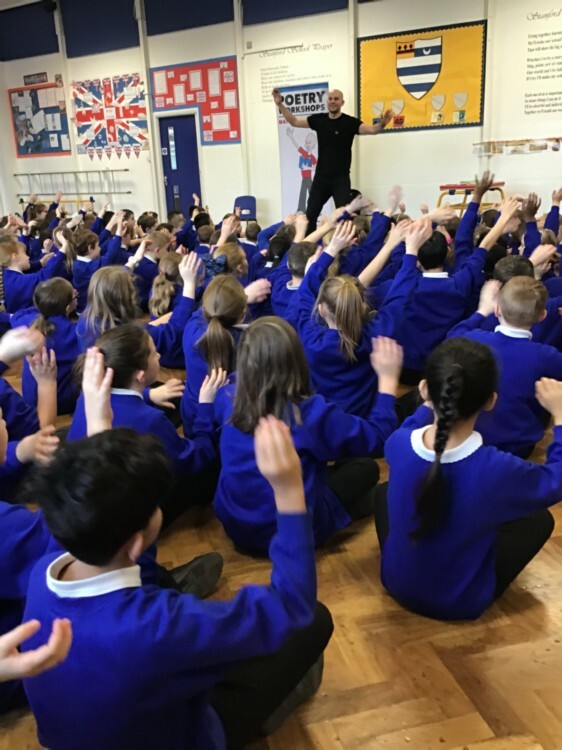 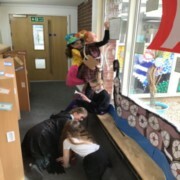 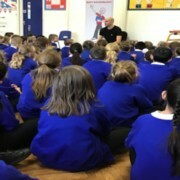 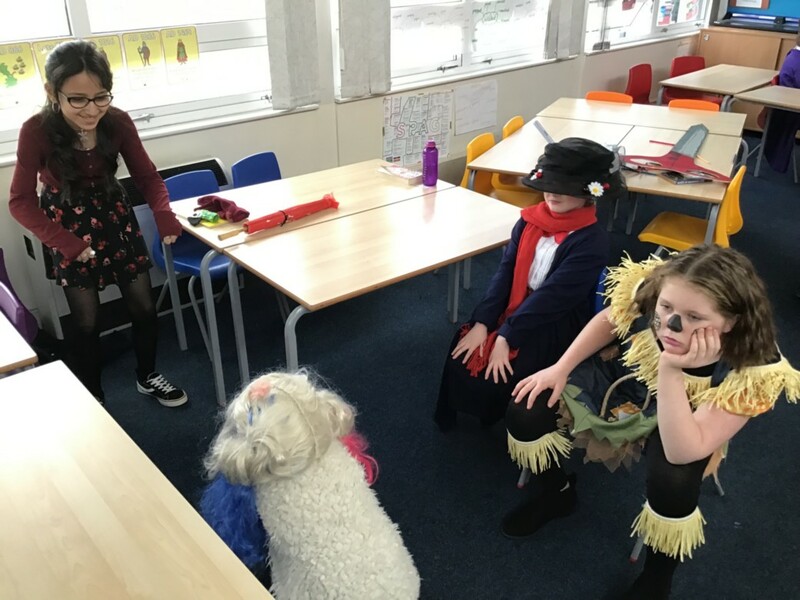 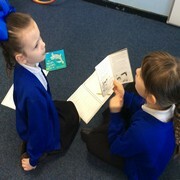 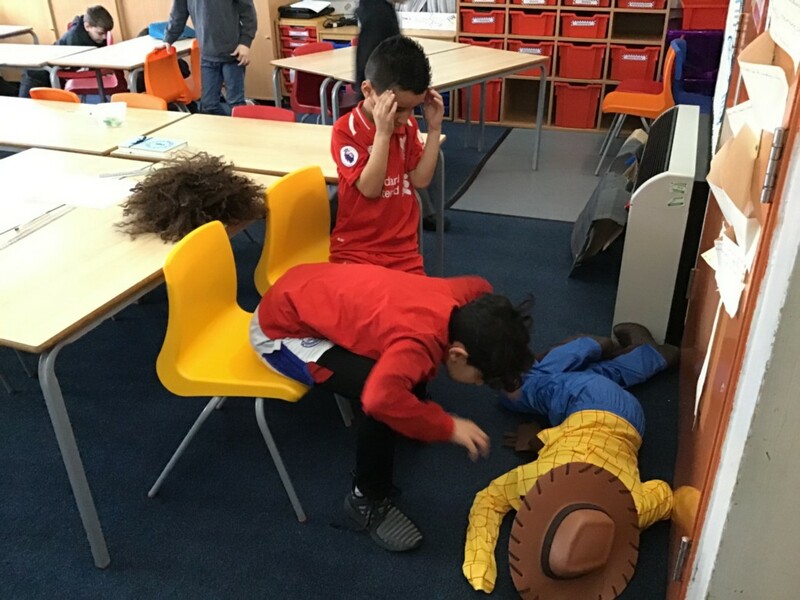 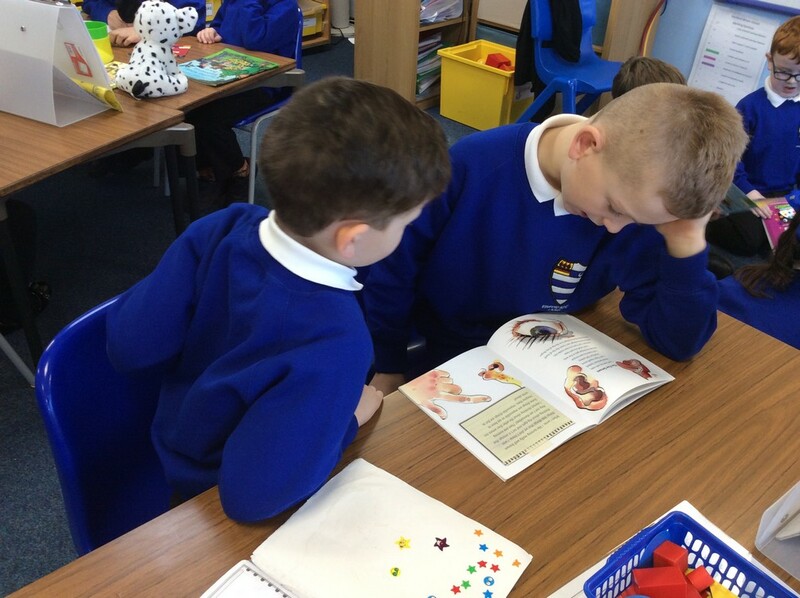 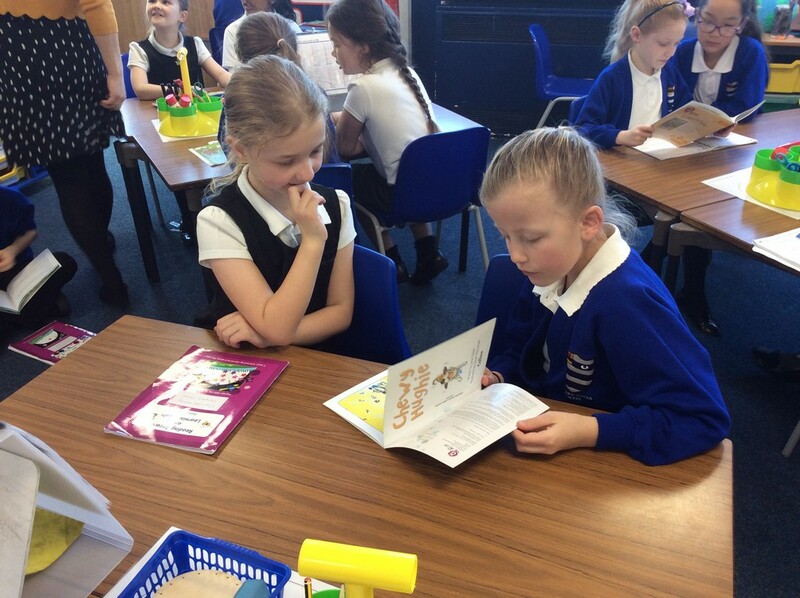 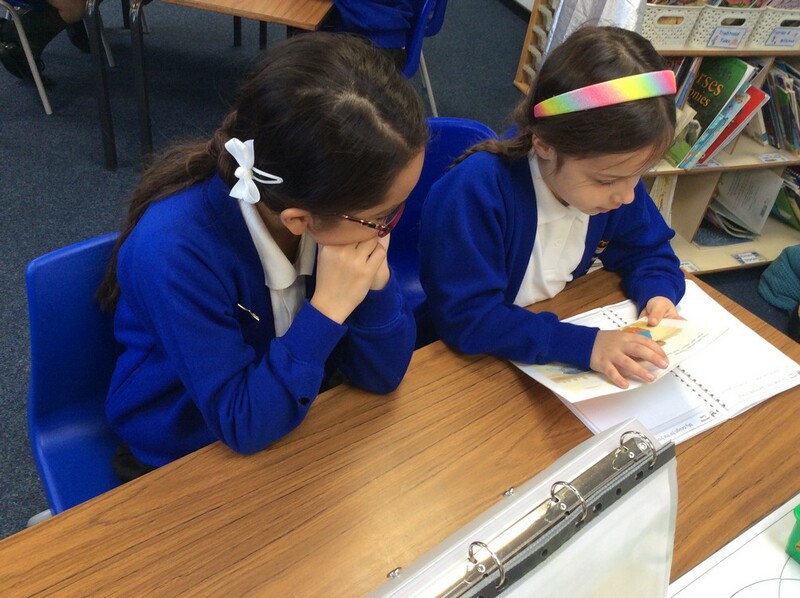 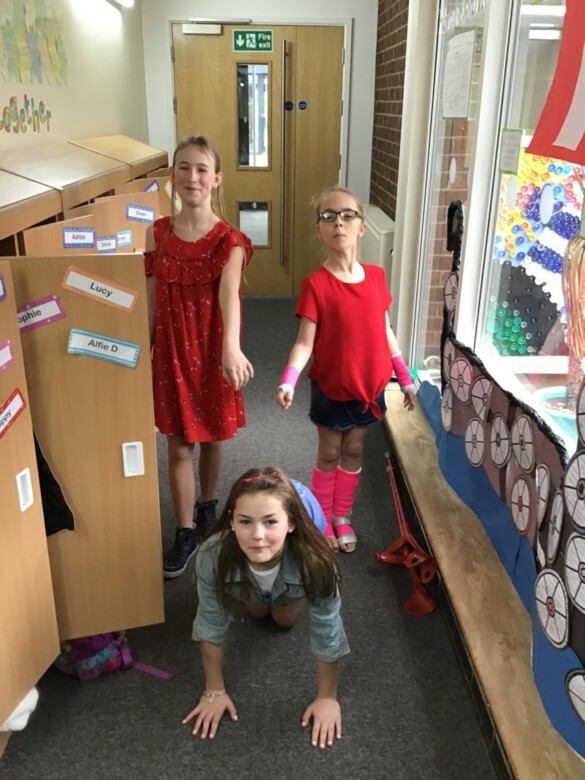 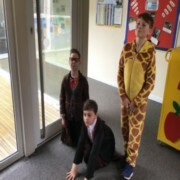 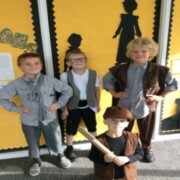 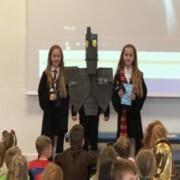 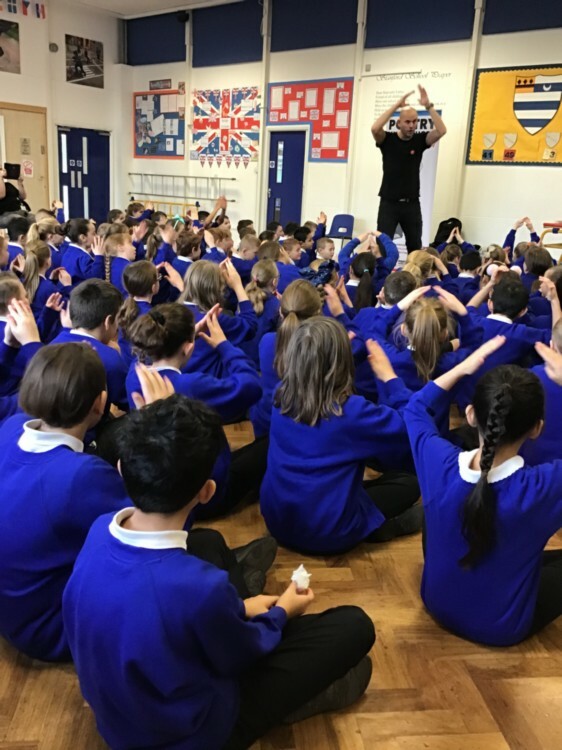 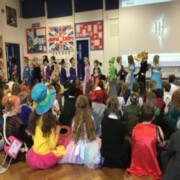 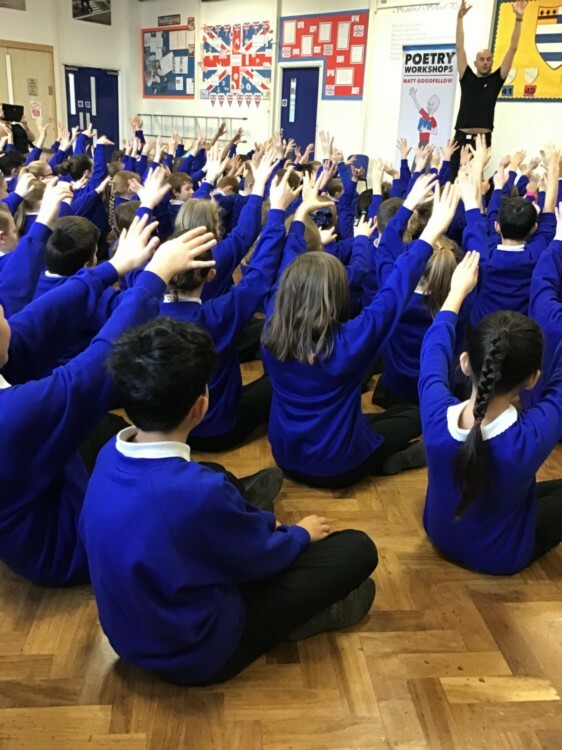 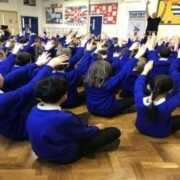 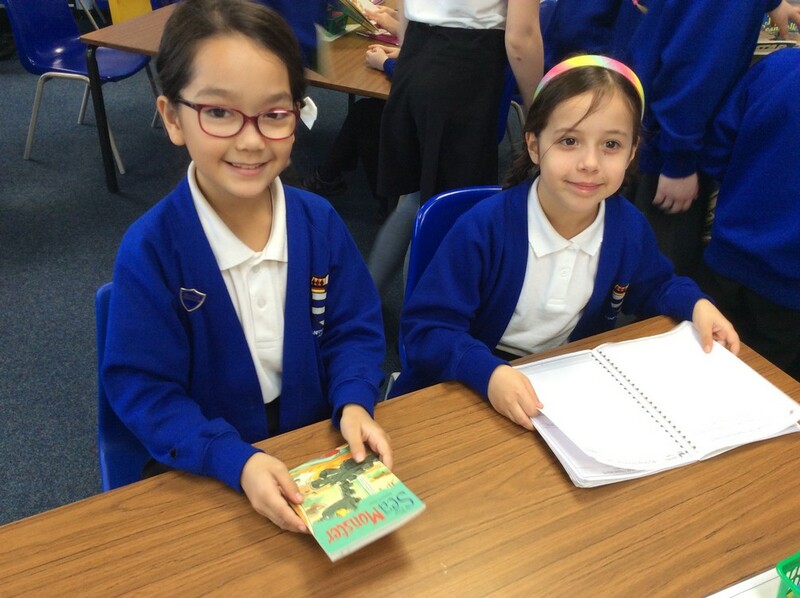 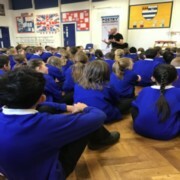 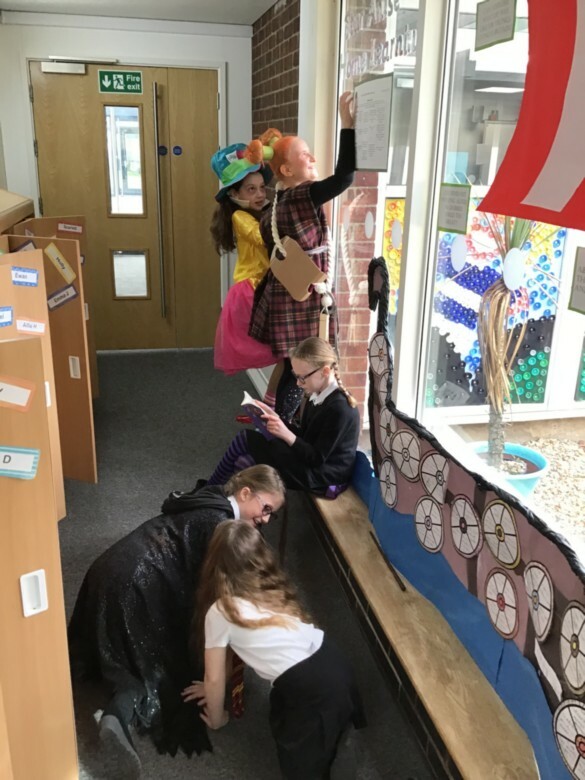 From creating positions, to using drama skills all linked to a variety of different books. 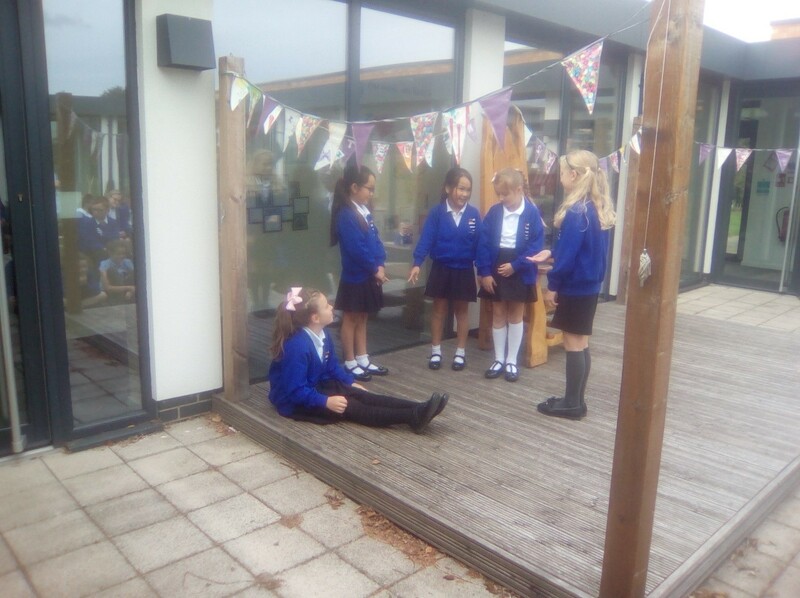 Star Anise’s activities were based on ‘Voices in the Park’ by Anthony Browne. The book is based on a story told from four different perspectives. 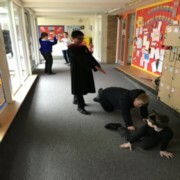 We read the story, questioned the different voices and then worked in small groups to create freeze frames as one of the perspectives from the characters in the books. 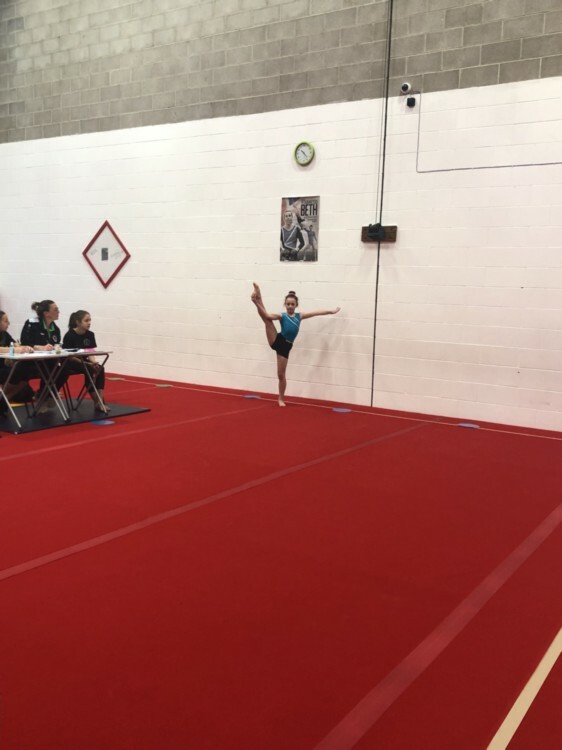 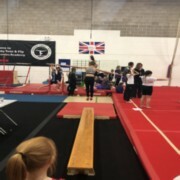 Pupils from Key Stage took part in our first Gymnastics competition with other local schools. 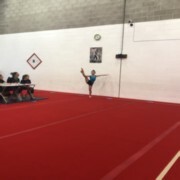 The pupils performed brilliantly with fantastic routines, skills and confidence to impress the judging panel. 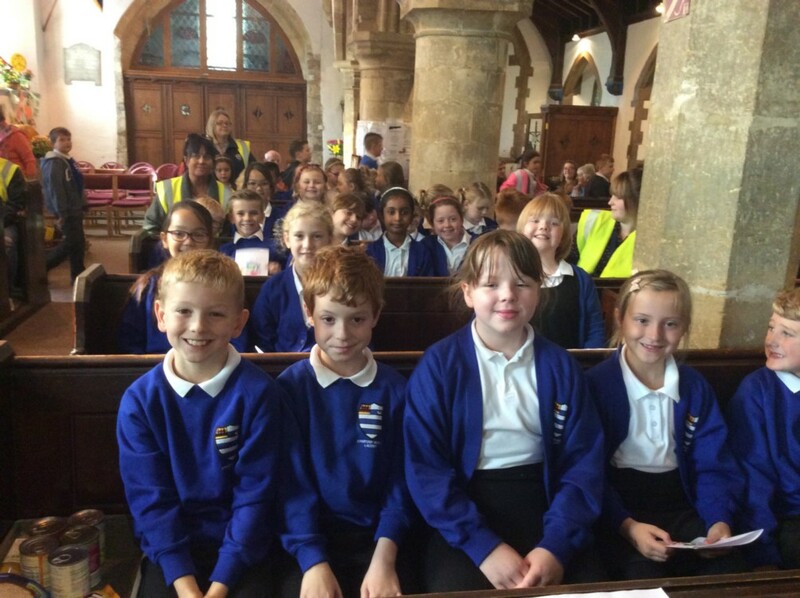 Overall we had one of the year 5/6 team place 4th… a fantastic achievement at our first event! 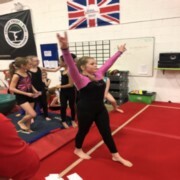 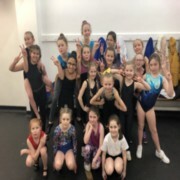 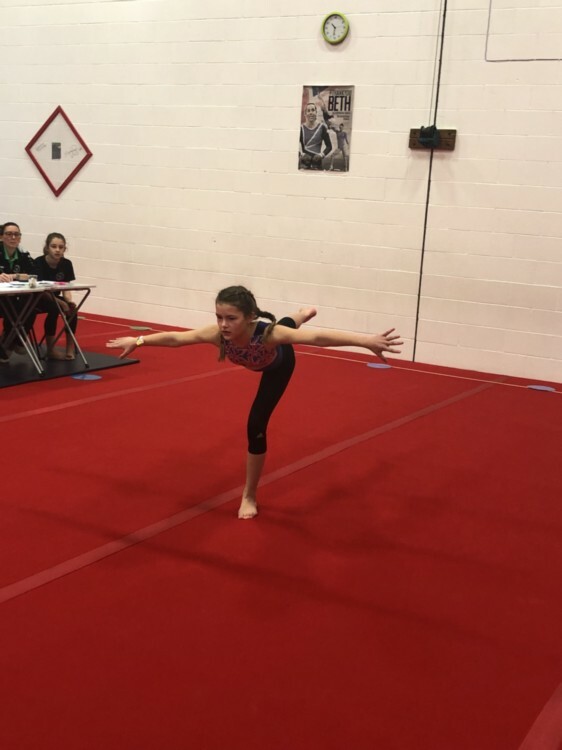 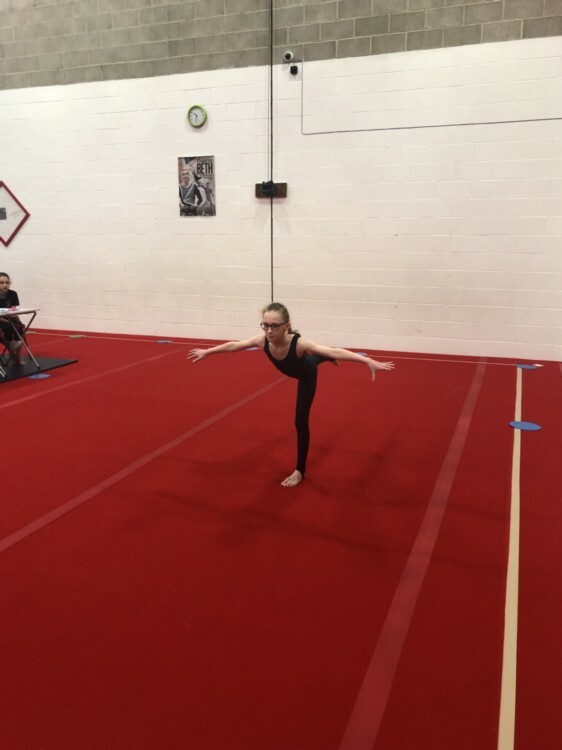 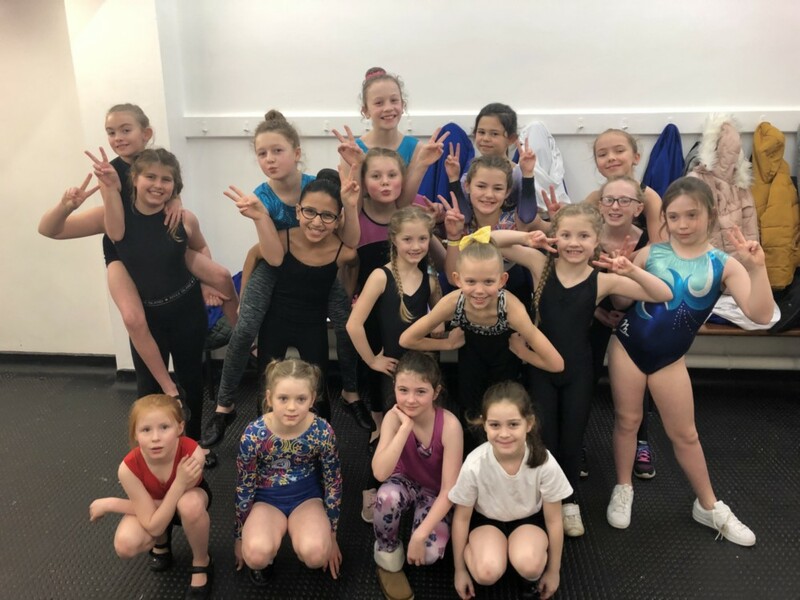 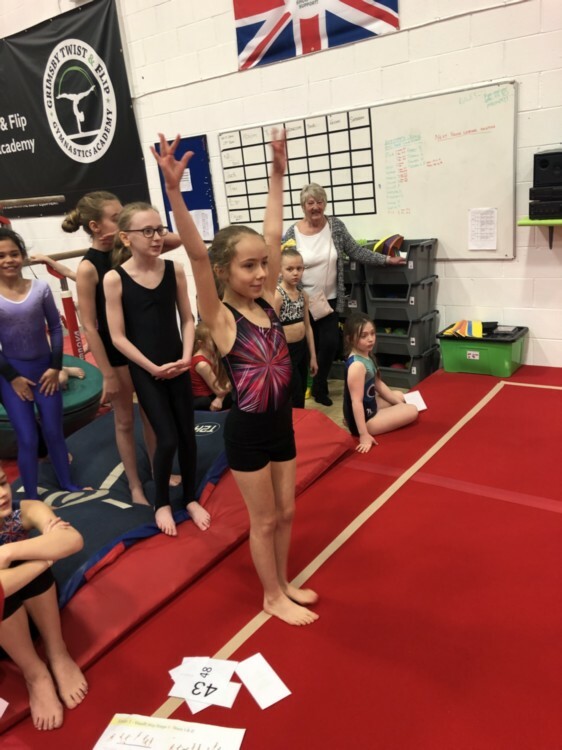 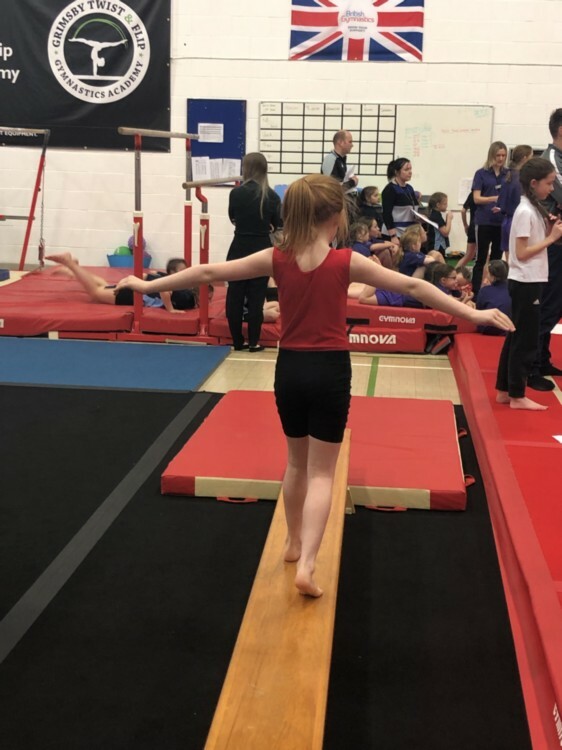 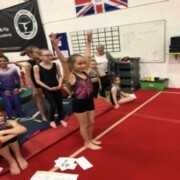 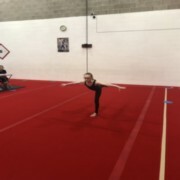 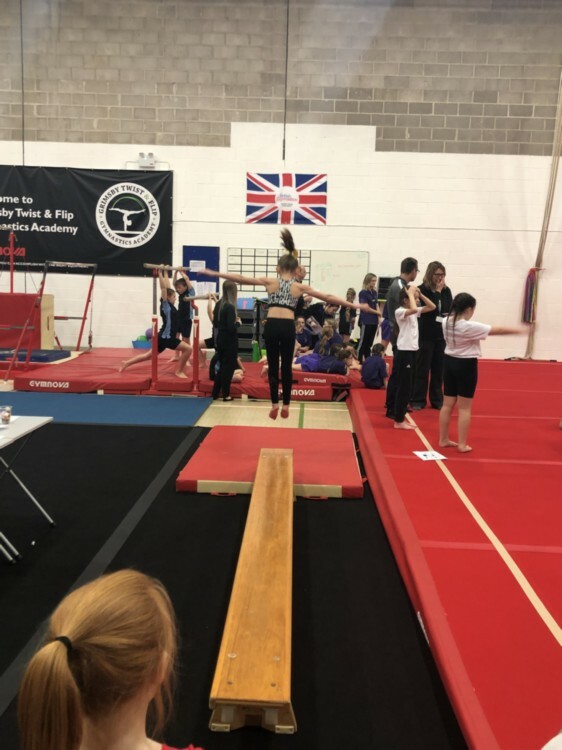 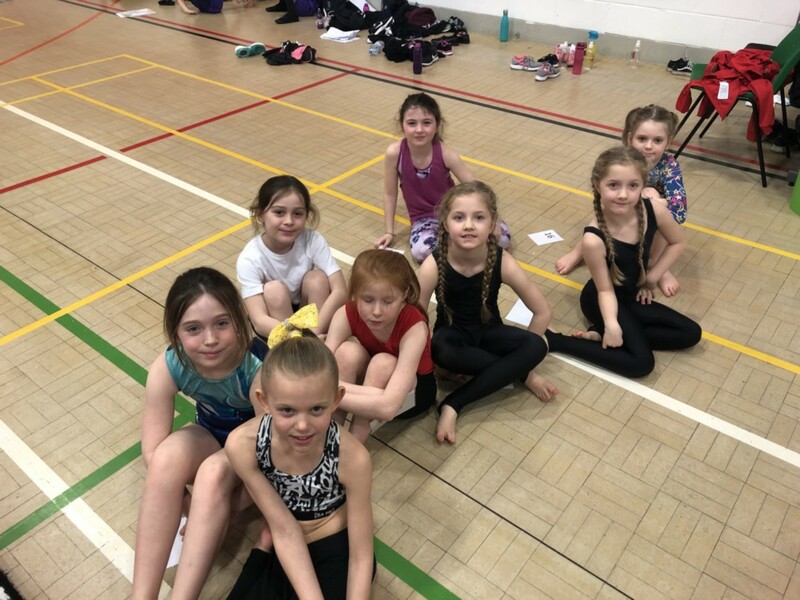 Well done to all the pupils who took part, they all have fantastic gymnastics skills where we hope they can showcase these off further in the future, Well done! 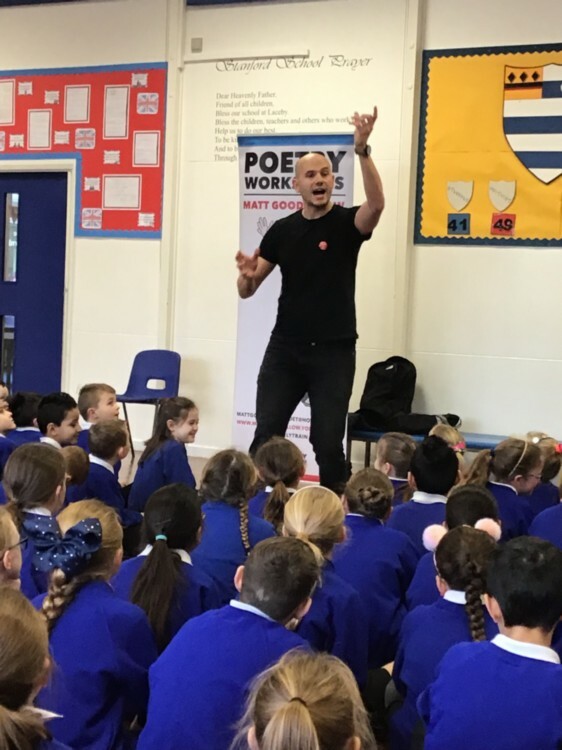 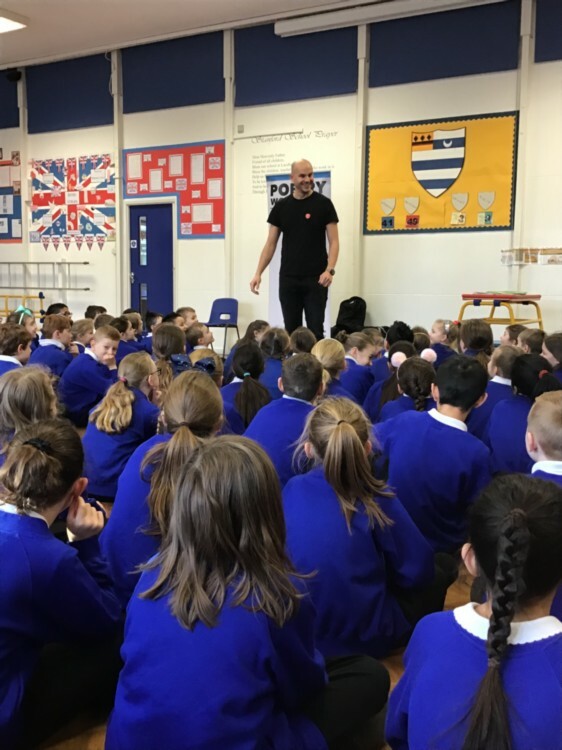 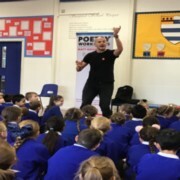 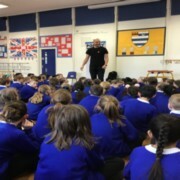 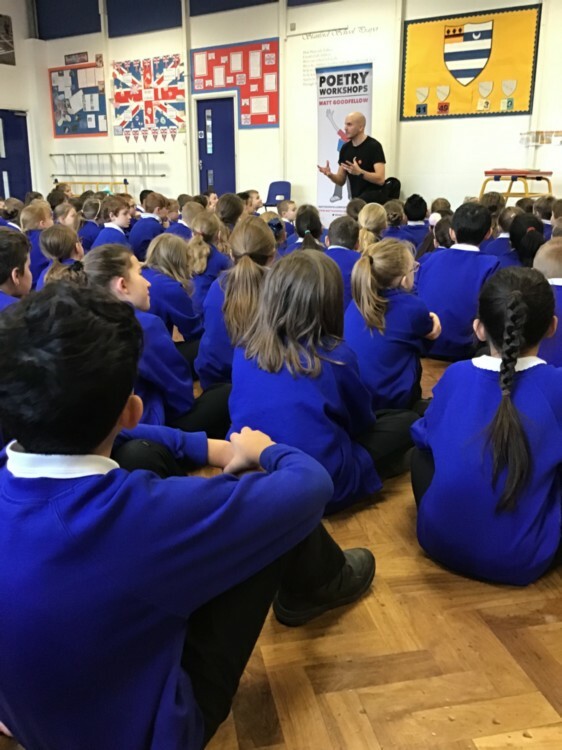 We were really lucky to have a poet come to school to share his work. 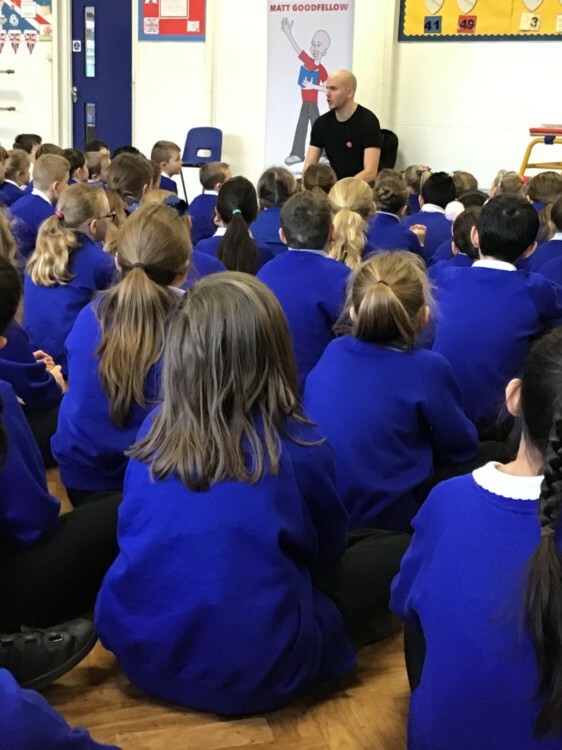 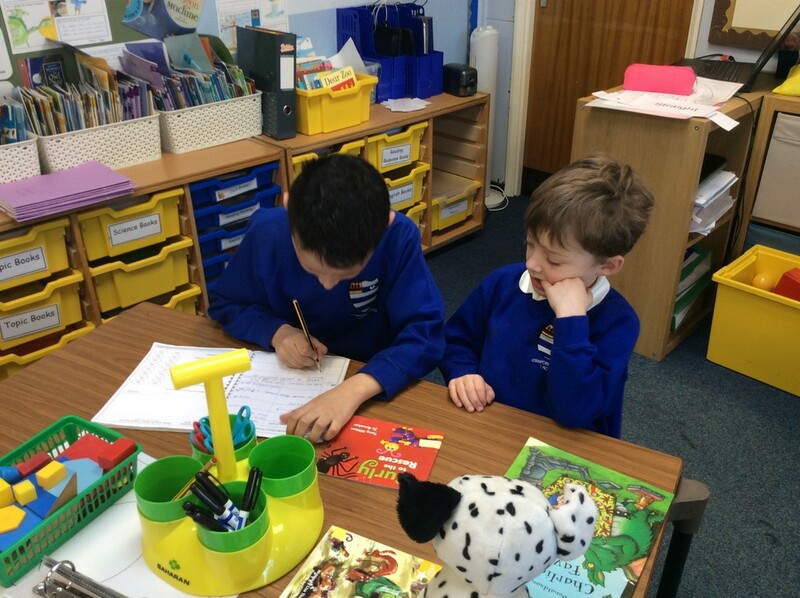 He spoke to us about why he decided to be a poet and where he gets his inspiration from. 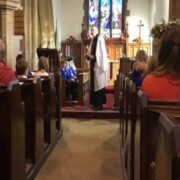 He was really funny and we had a lot of fun joining in. 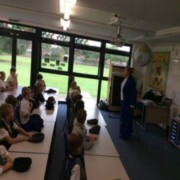 After that he went into the classrooms and helped us to write poems. 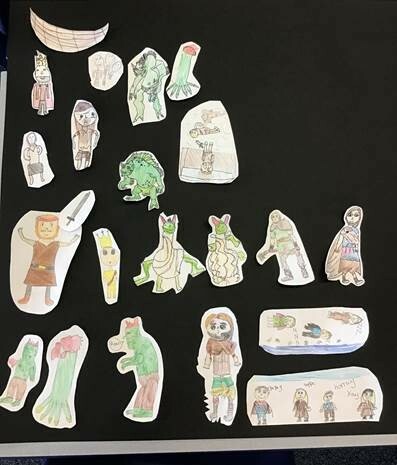 Today we began to explore the Anglo-Saxon Epic Poem “Beowulf”. 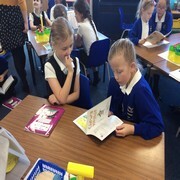 We heard how part of the poem sounded in Old English which we didn’t understand of course! 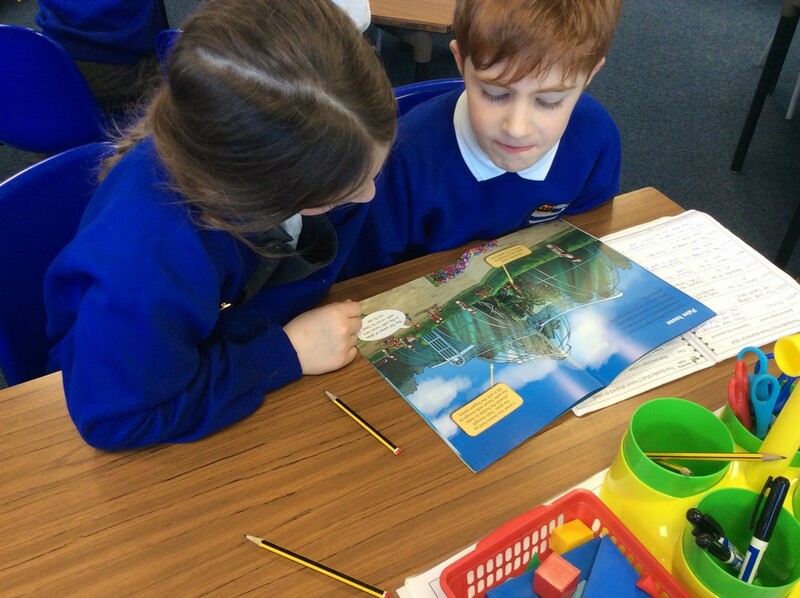 Looking at a translation we began to identify the plot and created our own story maps. 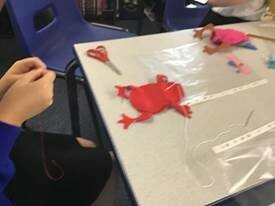 In addition we made stick puppets which we are going to use in English later this week. 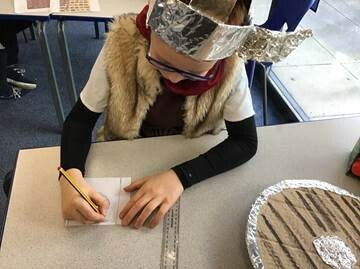 This afternoon we investigated different letters including runes and Illuminated letters. 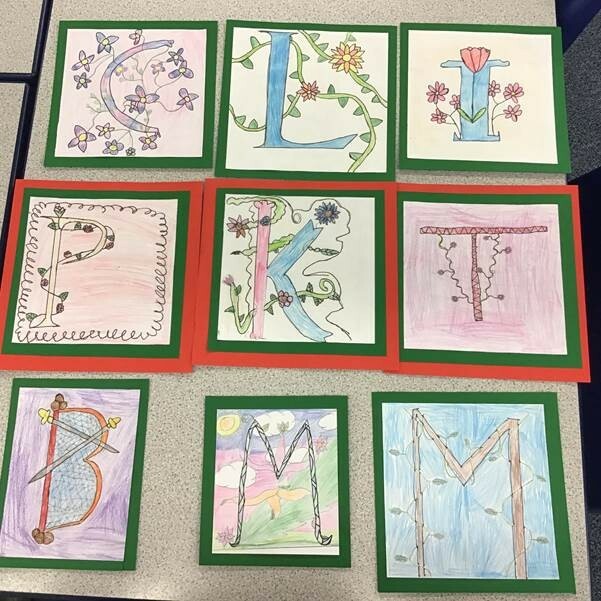 After researching different examples we designed our own illuminated letter. 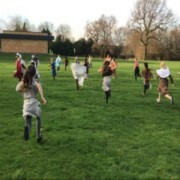 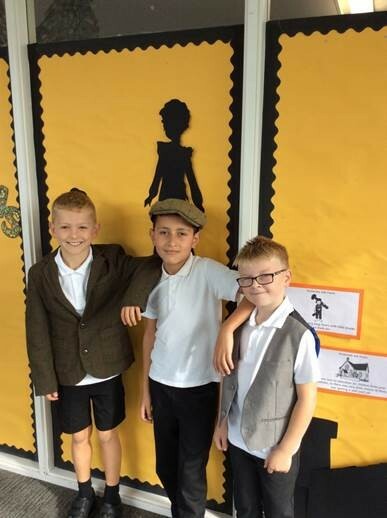 Of course many of us dressed up for the day after researching the sorts of clothing Anglo-Saxons might have worn. 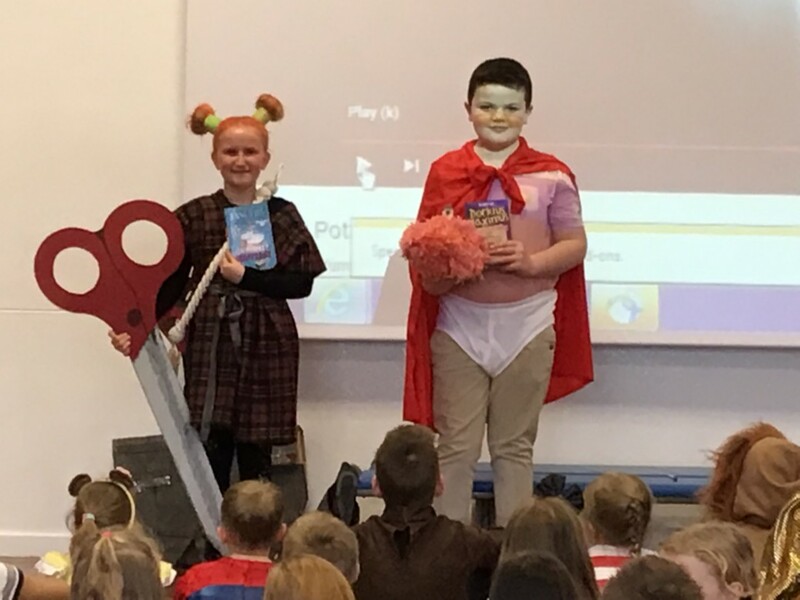 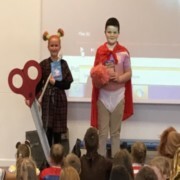 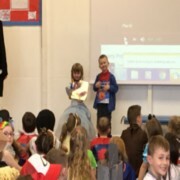 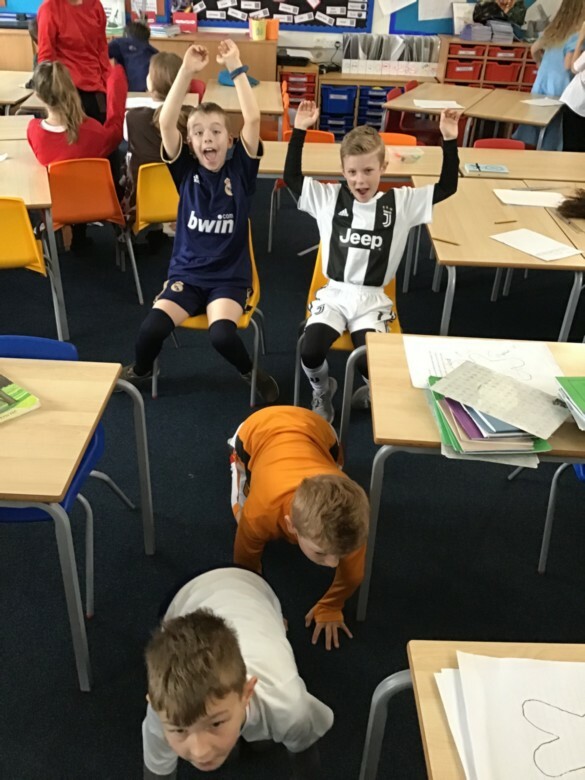 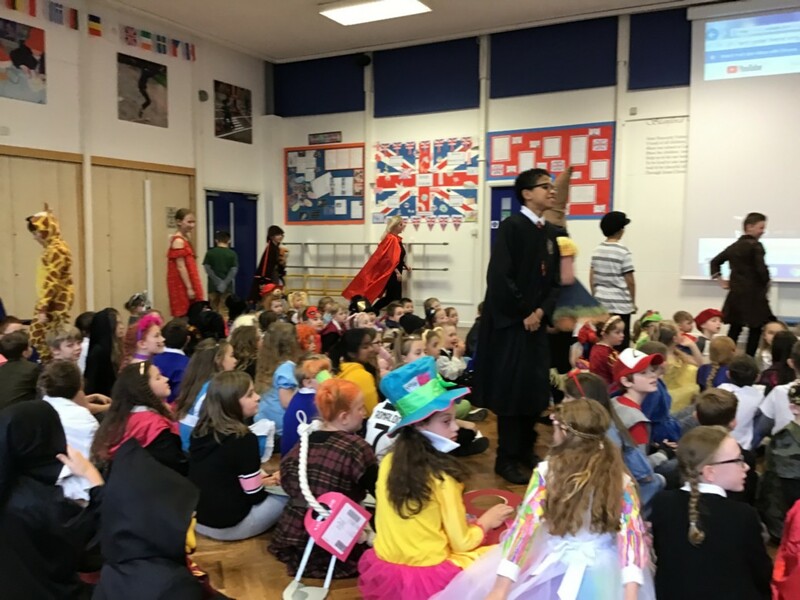 All in all a super day learning in Juniper Class. 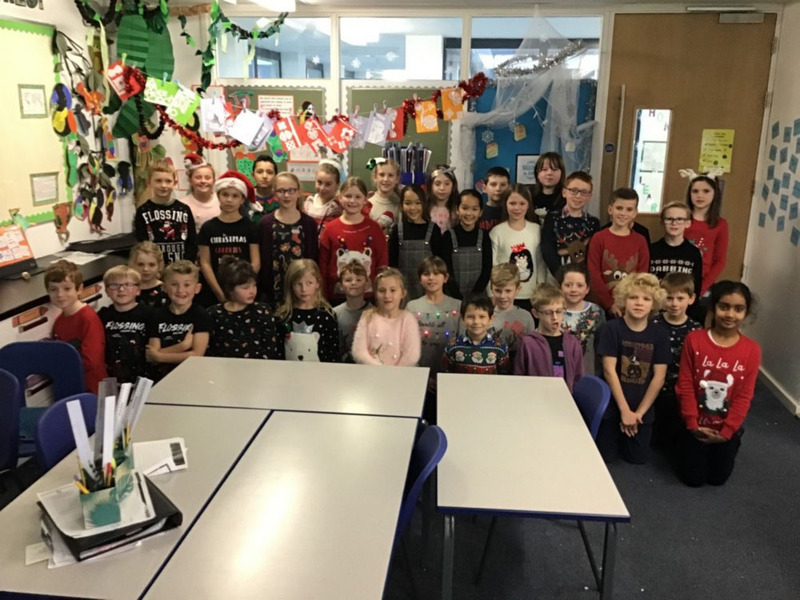 We are all feeling very festive in our Christmas Jumpers. 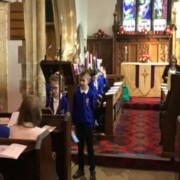 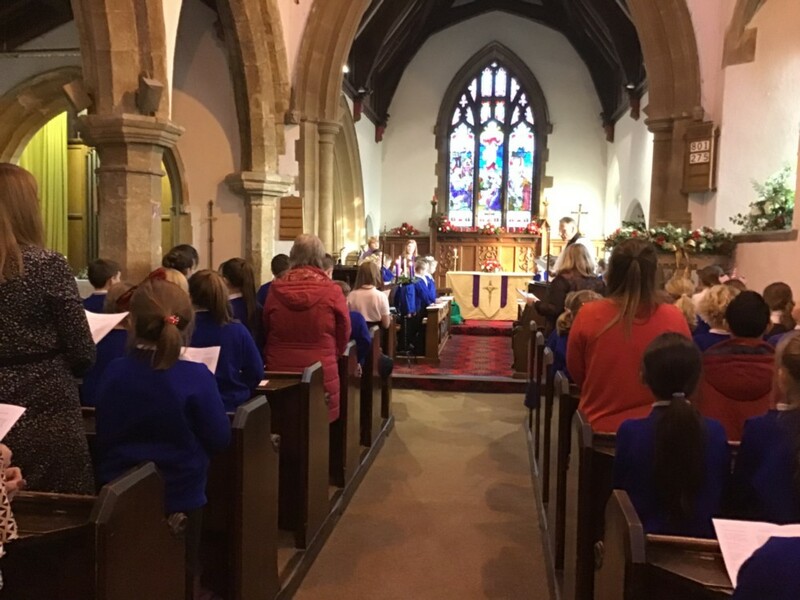 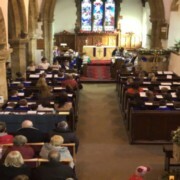 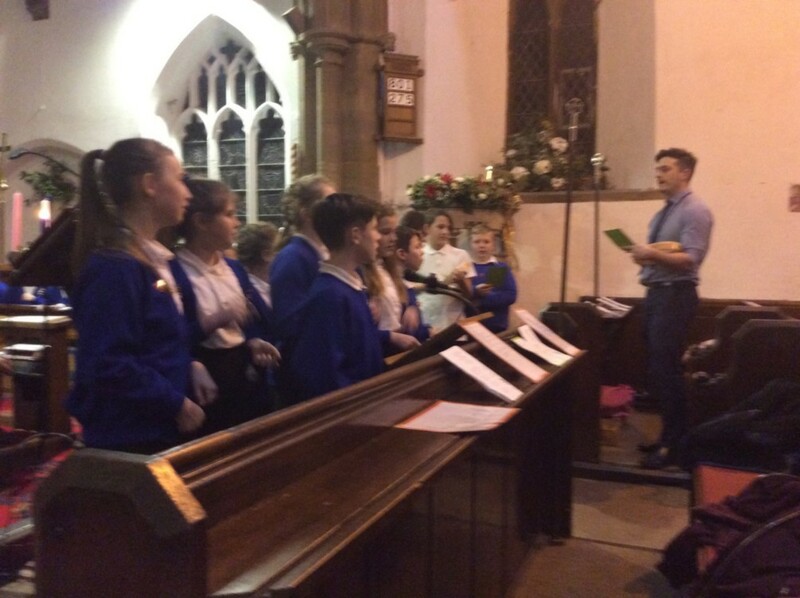 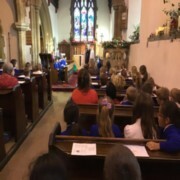 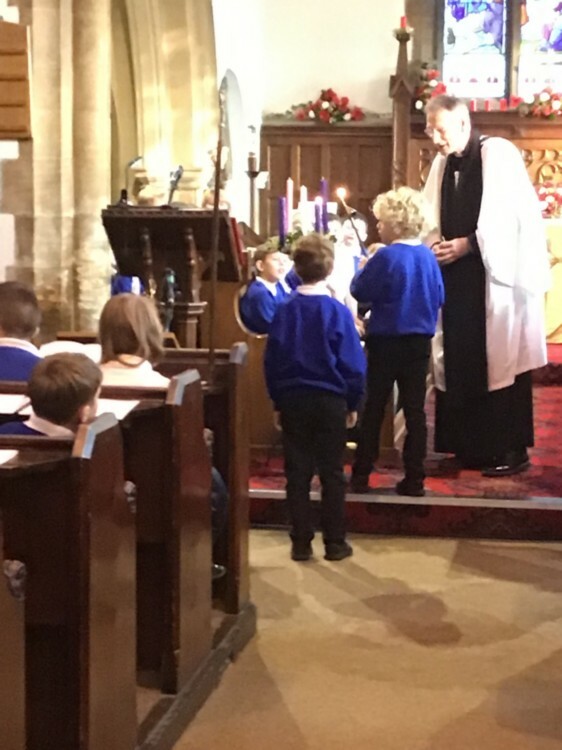 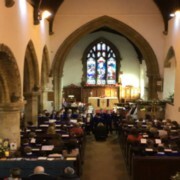 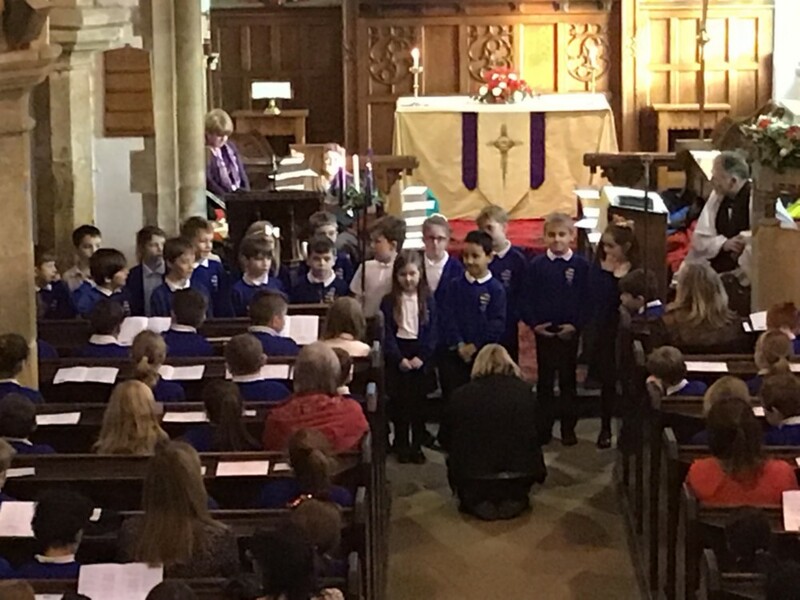 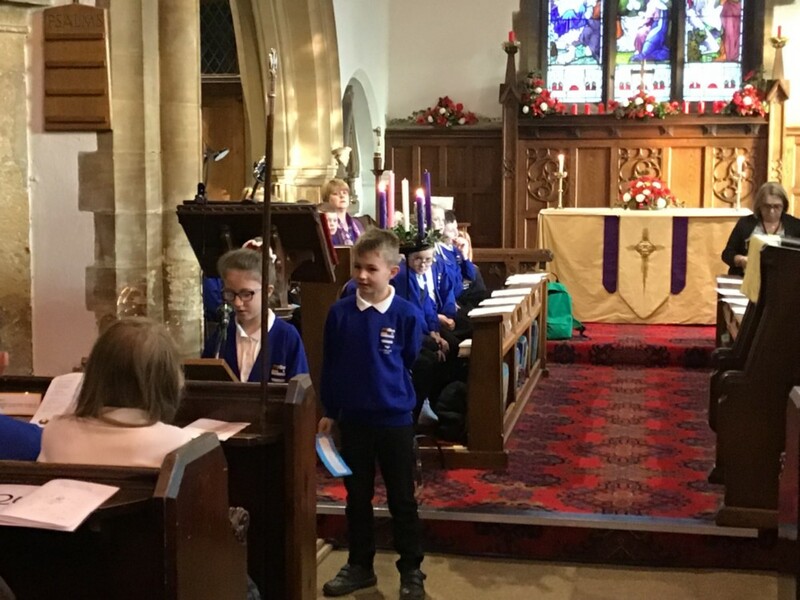 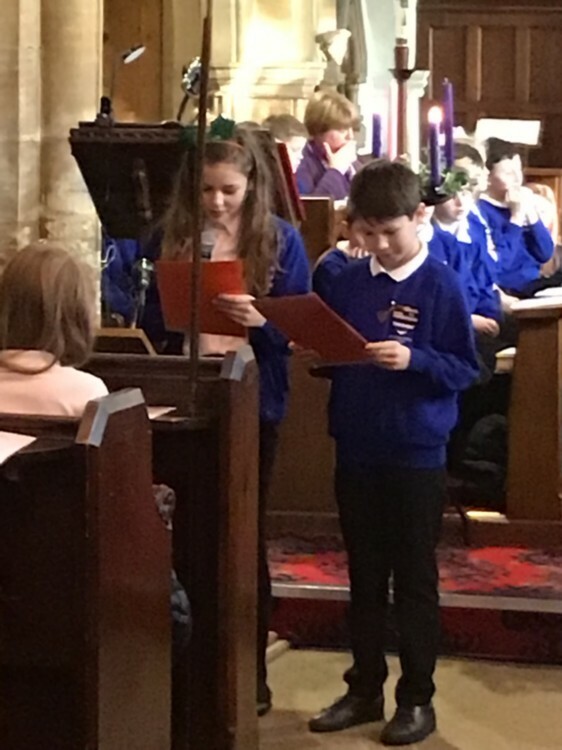 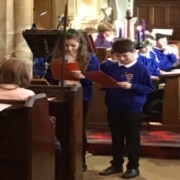 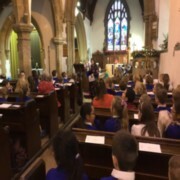 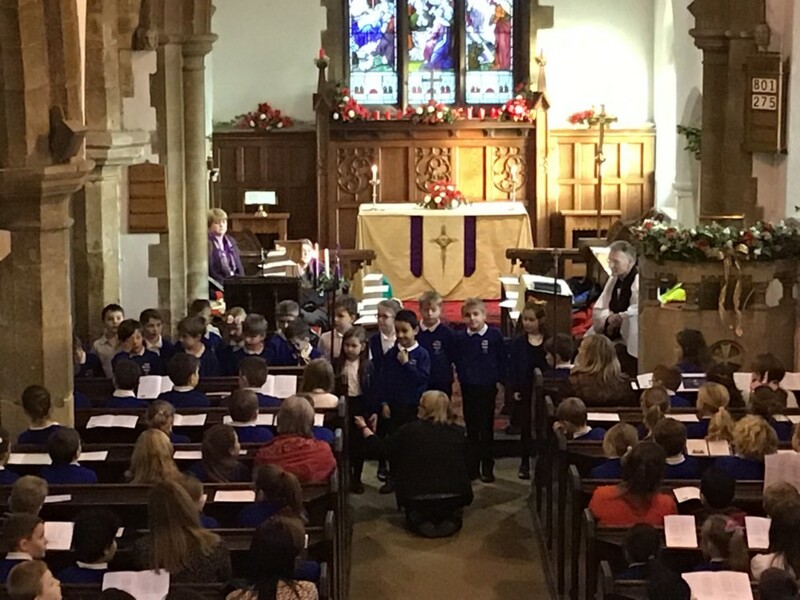 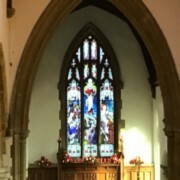 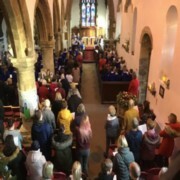 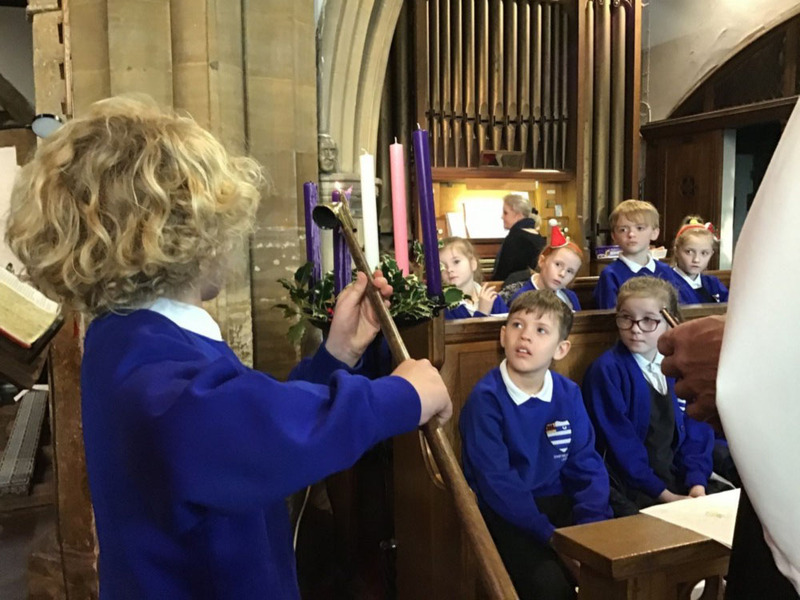 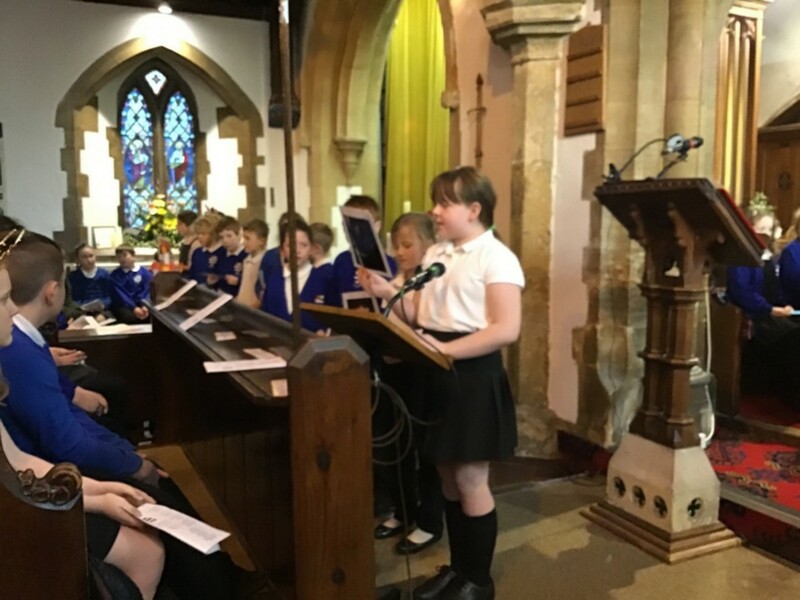 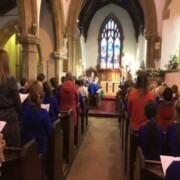 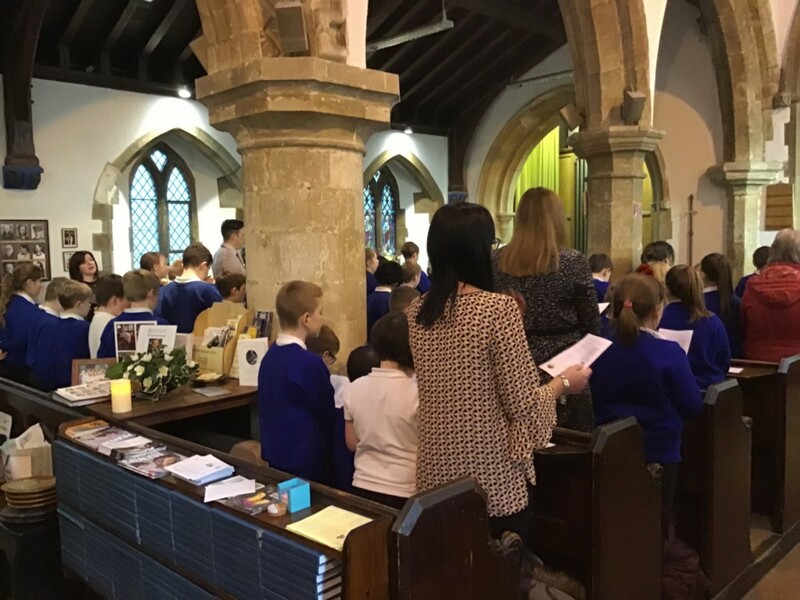 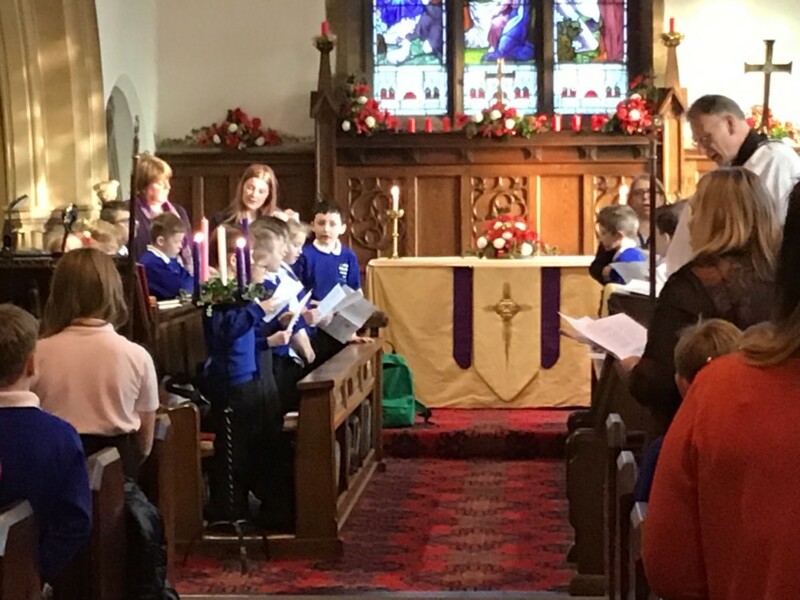 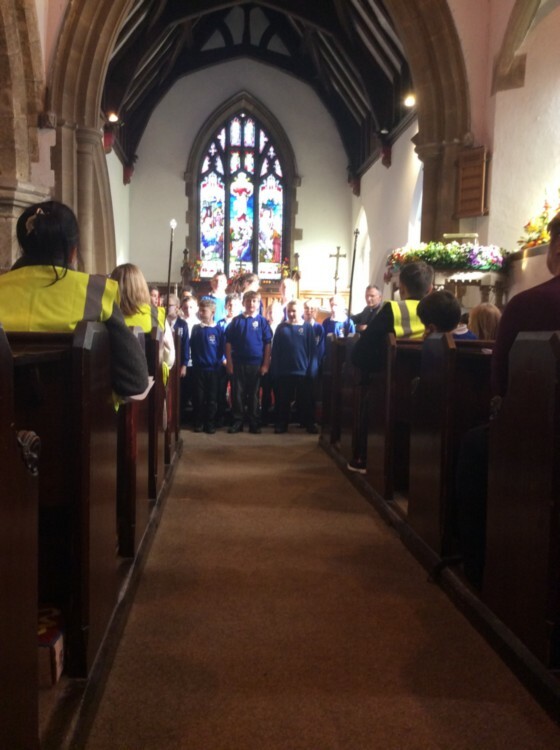 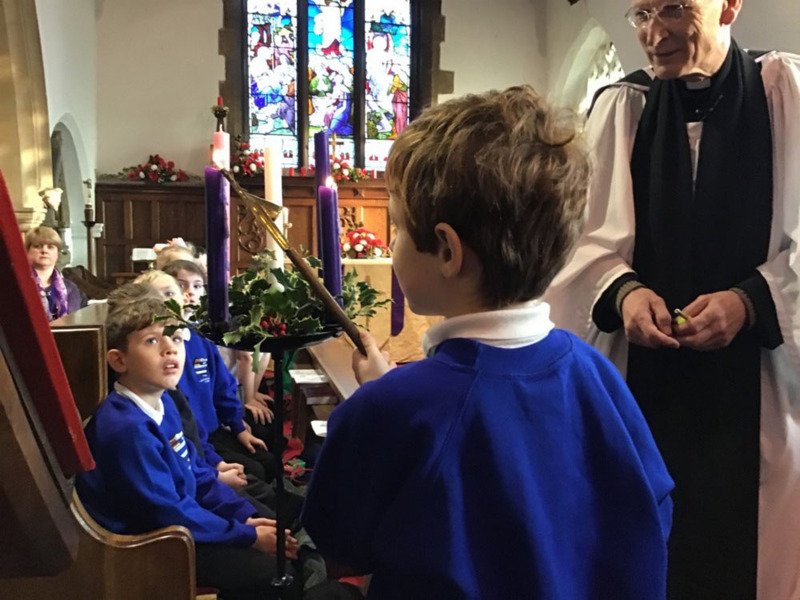 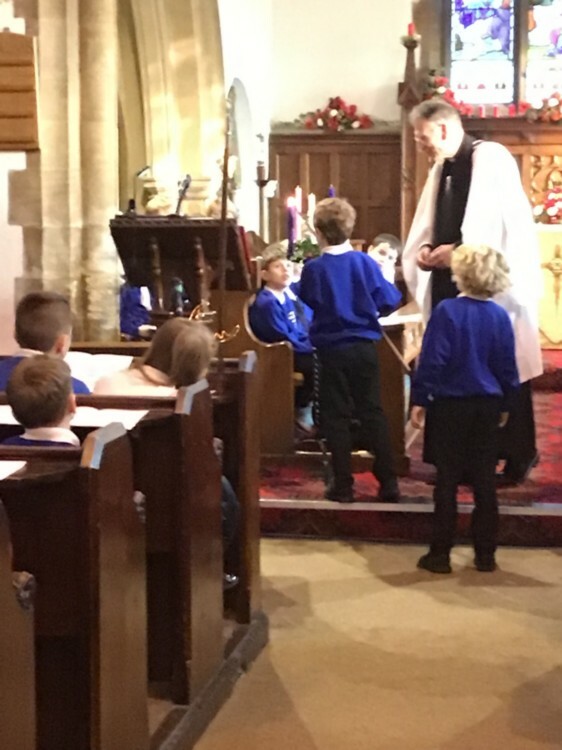 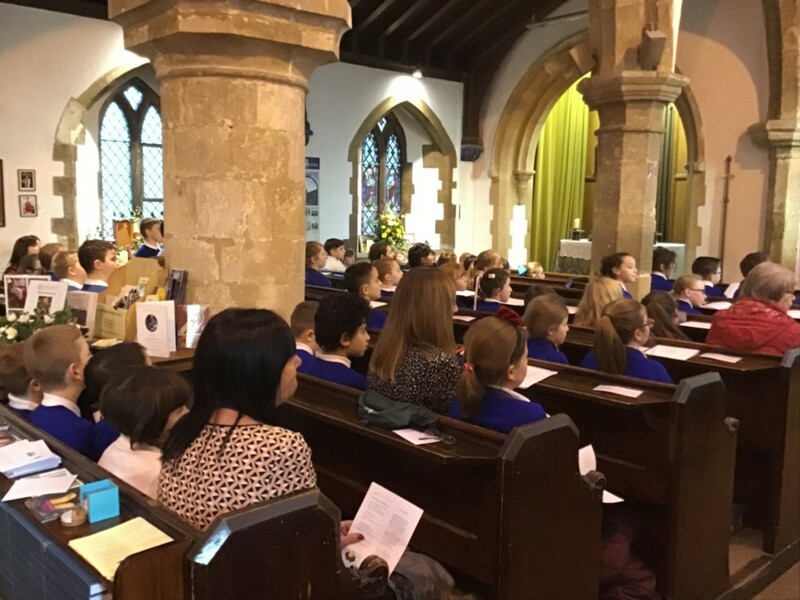 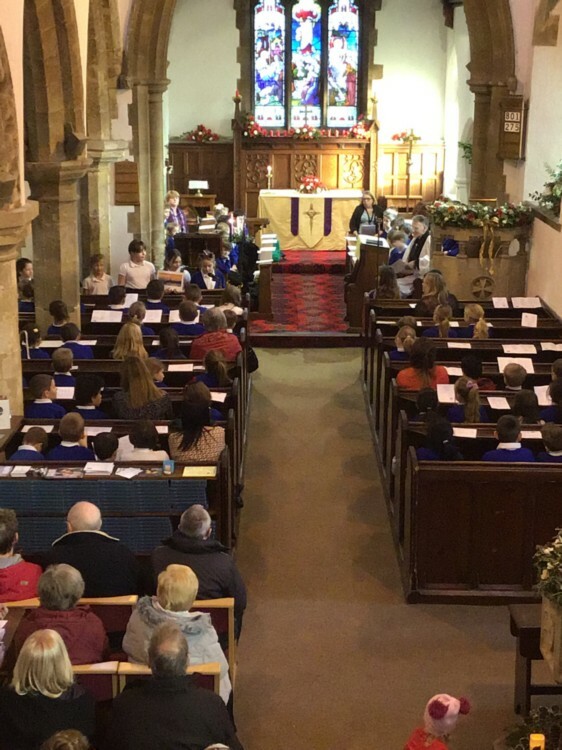 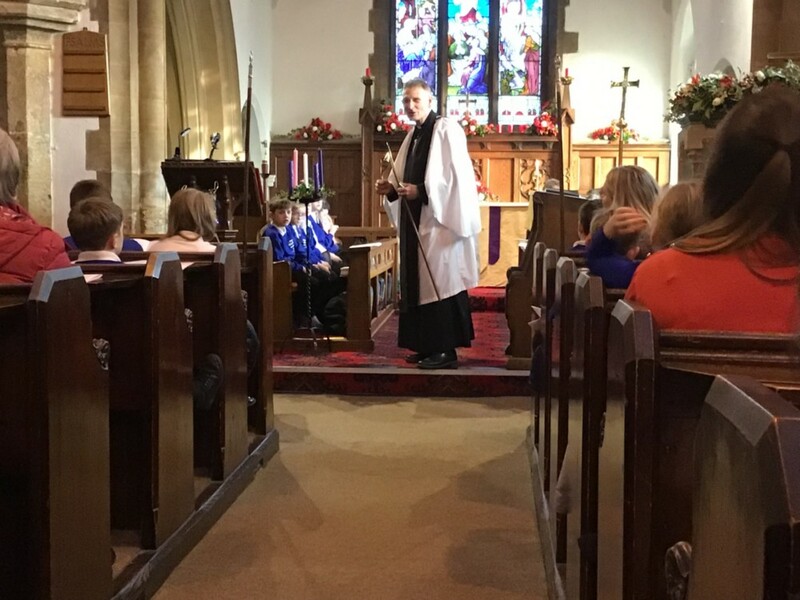 Juniper Class shared their learning about the symbol of light within Christianity during our Christmas carol service at St Margaret’s Church. 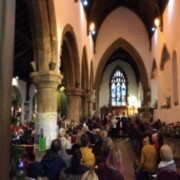 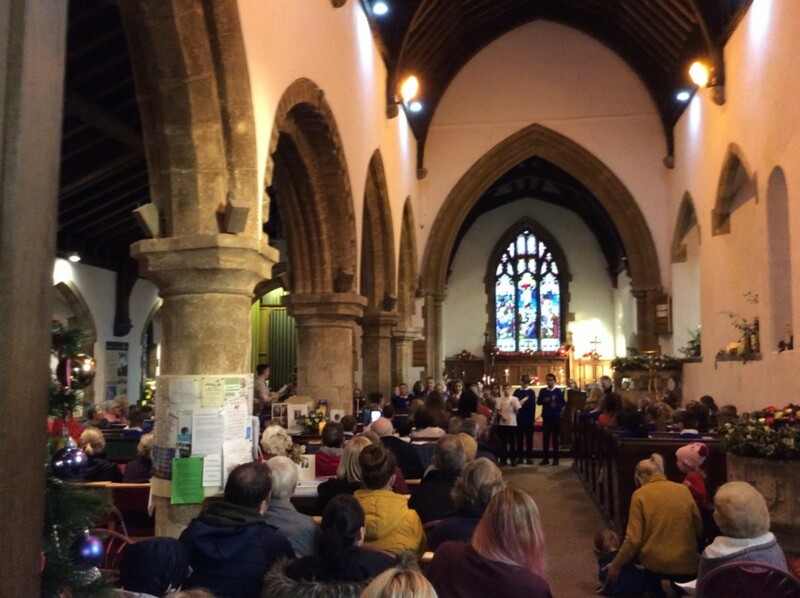 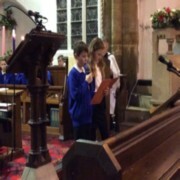 A few of us got the opportunity to light the advert wreath at the beginning of the service. 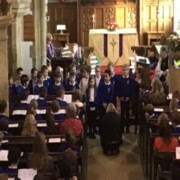 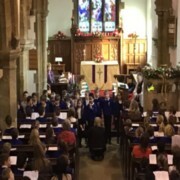 Well done everyone - beautiful readings, lovely singing and excellent class performances. 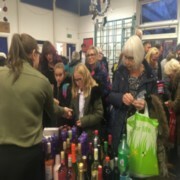 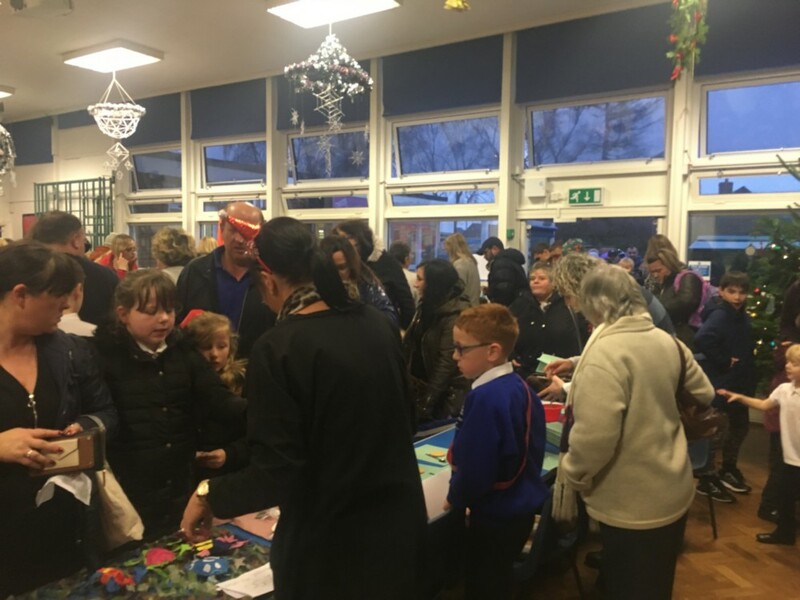 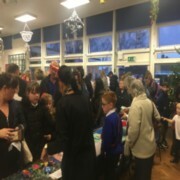 Thank you to all those who supported this lovely event. 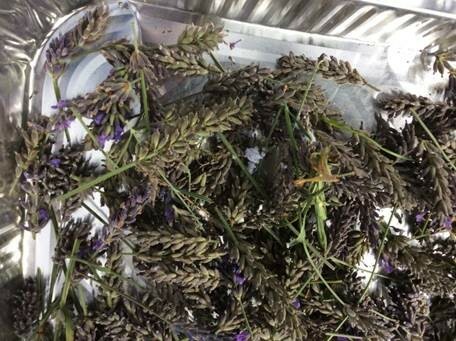 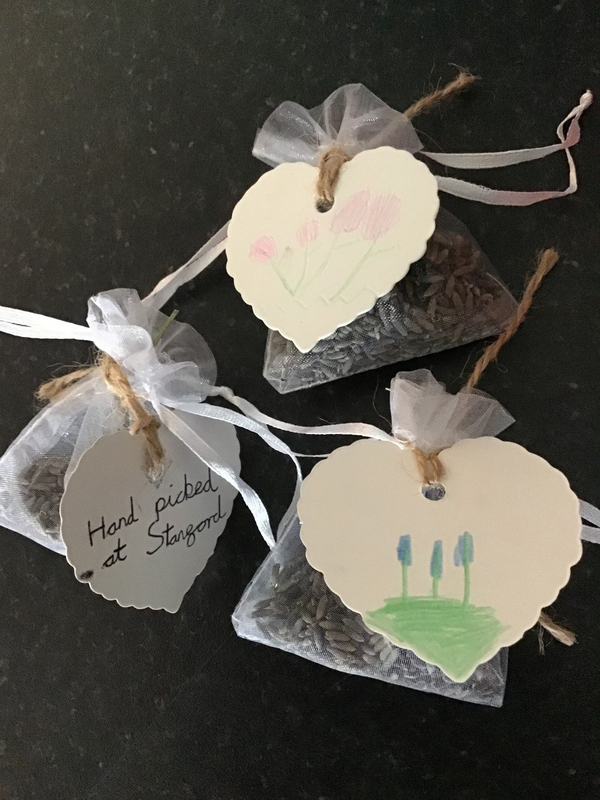 Now our lavender has dried out we have separated the flowers from the stalks and placed in little bags. 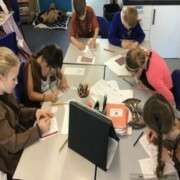 We have made labels to add to the bags. 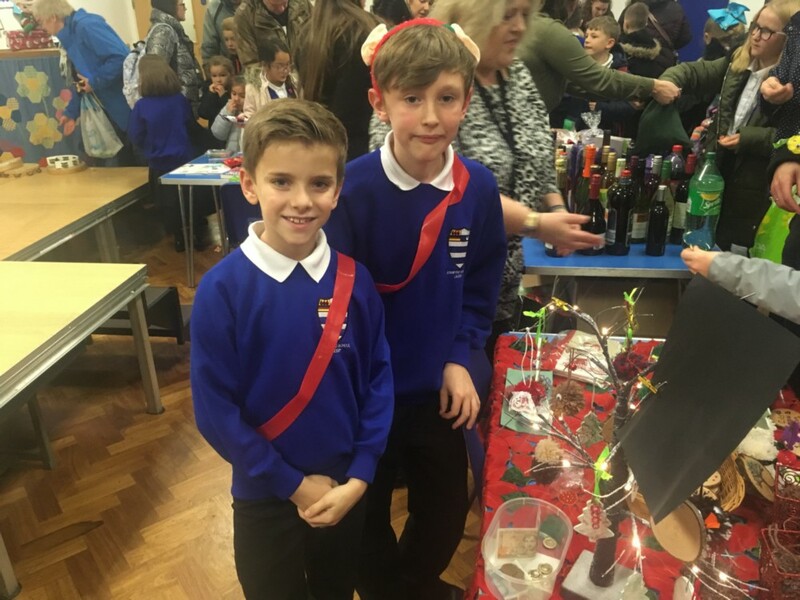 We are going to sell them at the Chrsitmas fayre for the price of £1. 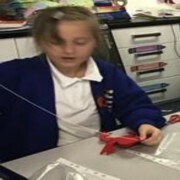 Can I understand of particles move in different states of matter? We acted out how particles moved differently in solids, liquids and gases. Solids – Particles are closely packed in a regular pattern. 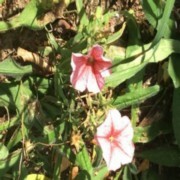 They vibrate on the spot. 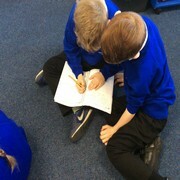 Liquids - Particles are close together but random. 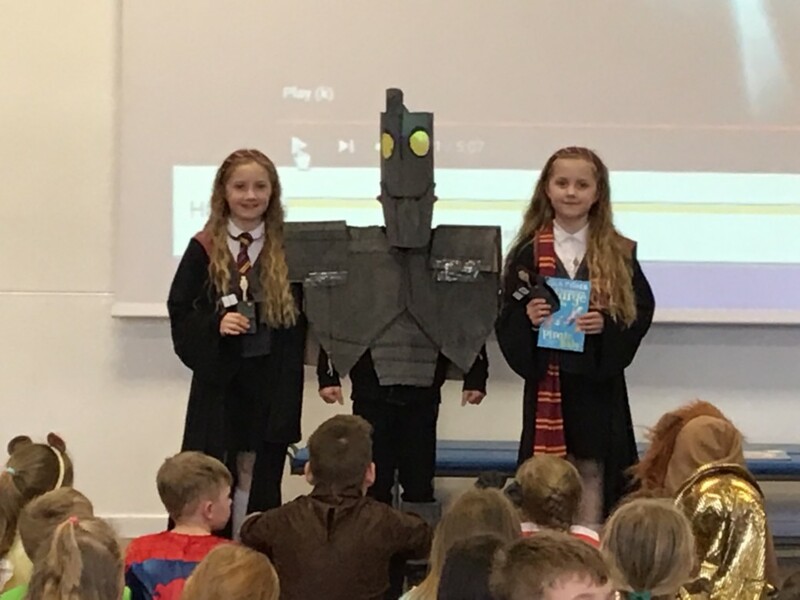 They can move over each other. 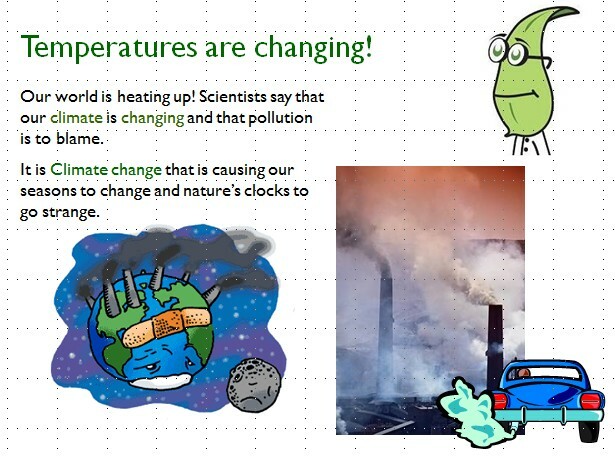 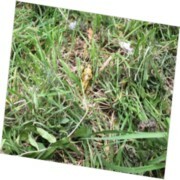 Gases – Particles are usually spread out. They can move about quickly in all directions. 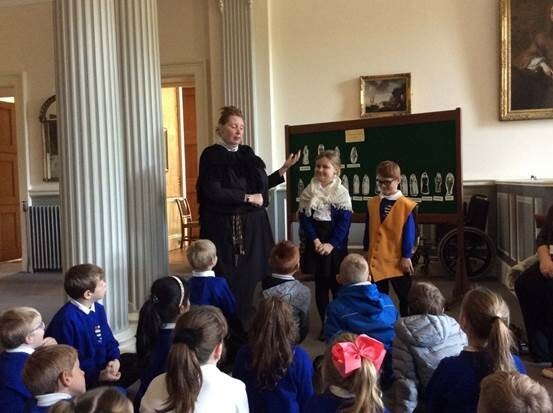 We went on a fabulous trip to Normanby Hall to learn about what it was like to be a Victorian. 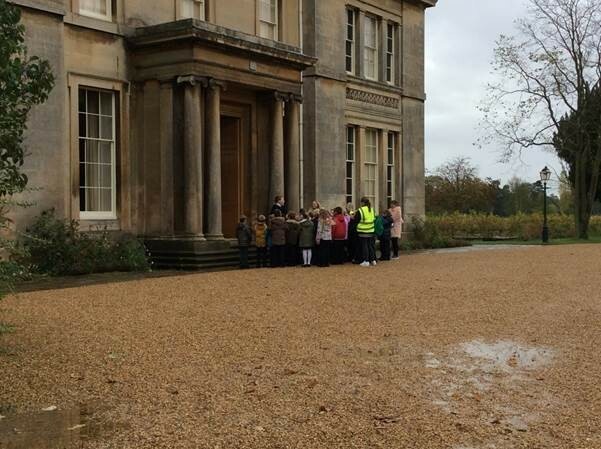 In the morning we visited the main house. 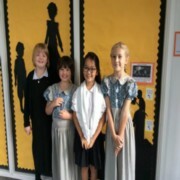 There we met the housekeeper. Mrs Harding. 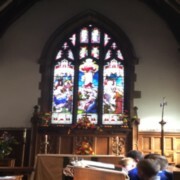 We considered how this building was different to the homes that we live in. 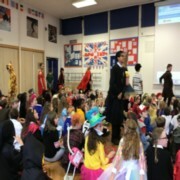 Mr Marrows, the Butler decided if we could enter the hall. 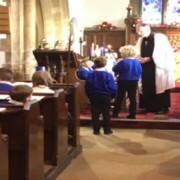 We had to greet him very politely. 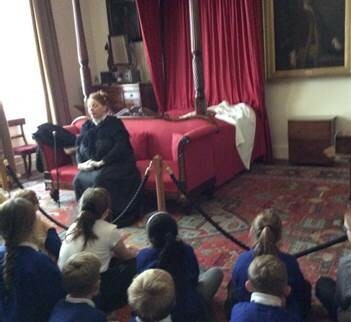 In the hall we learnt about the Sheffield Family using information from the 1892 census return. 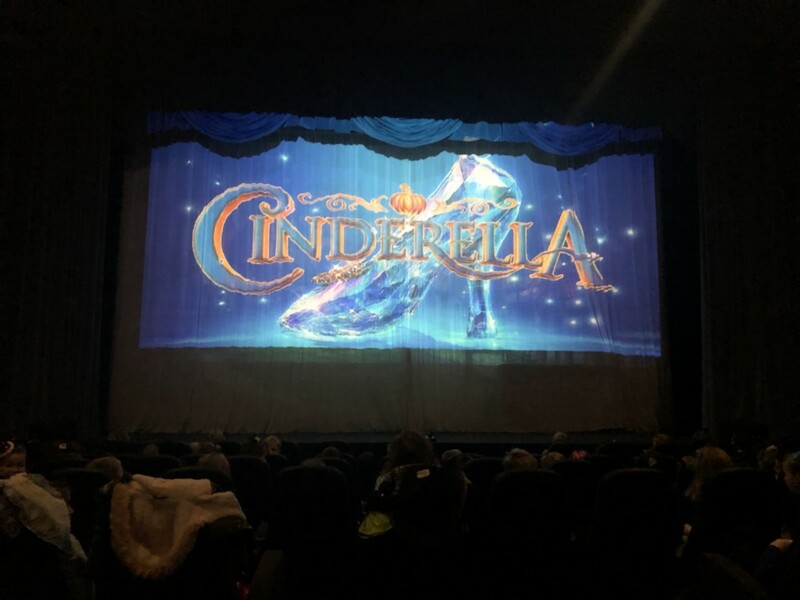 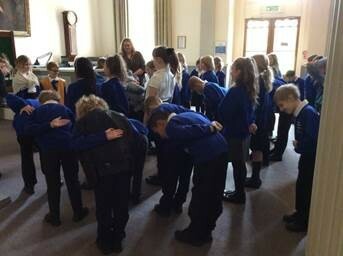 The boys practised our finest bows and the girls practised their most gracious curtsies. 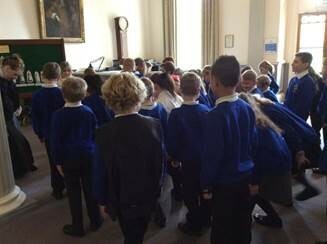 We closely looked at Lady Sheffield’s drawing room. 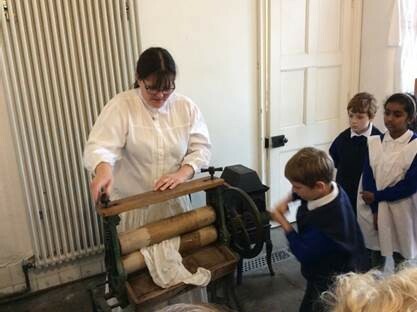 From this we were able to see the sorts of activities she spent her time doing. 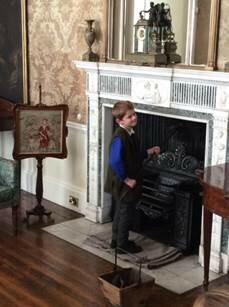 The fire was kept clean by a young male servant who had the job of cleaning the chimney. He had to start work really early. 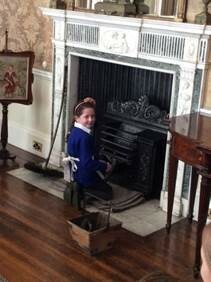 The House maid had to do all the cleaning including blackening the hearth. 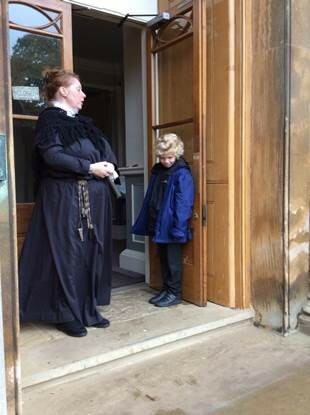 If she didn’t do a good enough job she would be punished or get the sack! 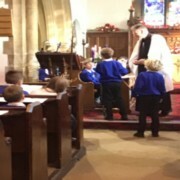 Meals were very extravagant. 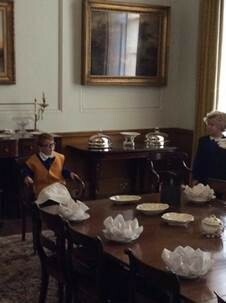 The Sheffield family were served their meals by the butler. 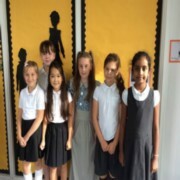 The meals were prepared by the cook. 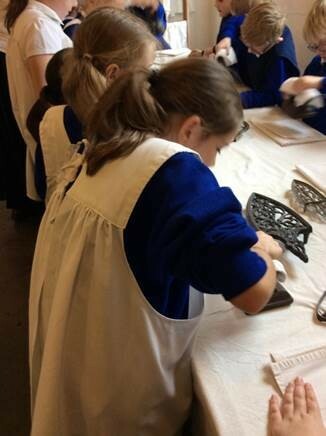 The Kitchen servants would do all the chopping and preparing as well as the washing up. 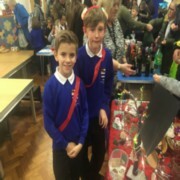 There were lots and lots of courses. 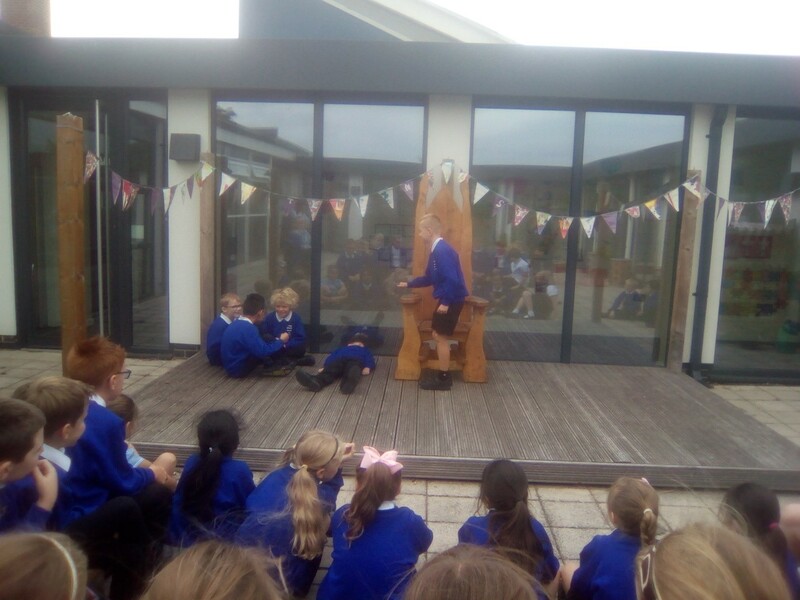 Sir Berkeley would sit at the head of the table. 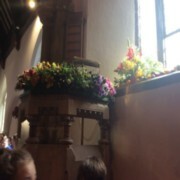 Lady Sheffield would sit the opposite side. 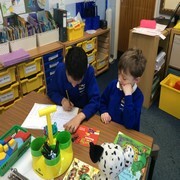 In Sit Berkeley’s bedroom we learnt about how he would have help to get dressed, undressed and washed. 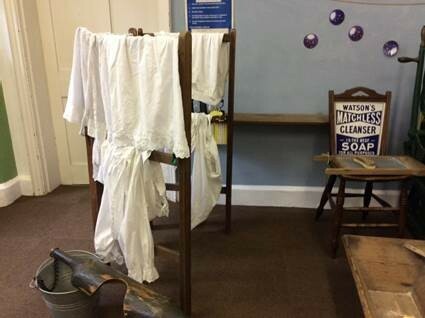 The cupboard at the side of the bed was actually the toilet! 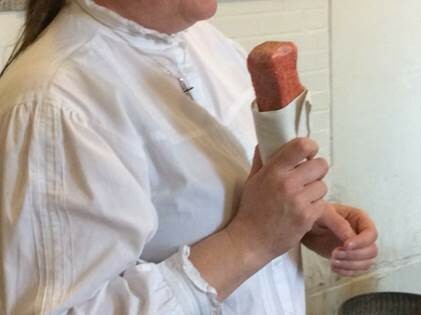 It was the servant’s job to empty it each time. 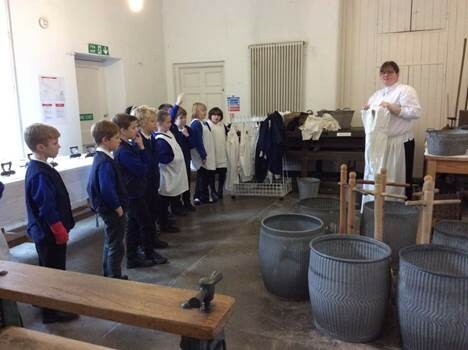 After lunch we learnt about what it was like to be a laundry maid. 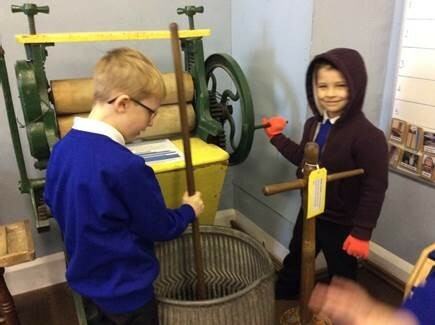 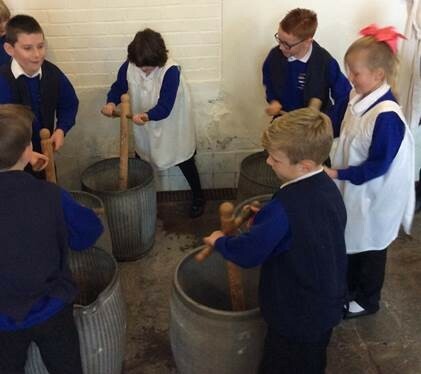 Washing during the Victorian times was quite different from today. We learnt about the process and discovered it was hard work! 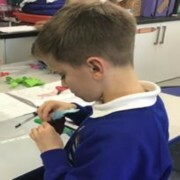 He works at Amgueddfa Cymru –National Museum Wales, in Cardiff. He studies plants and nature in the botanical section of the museum. 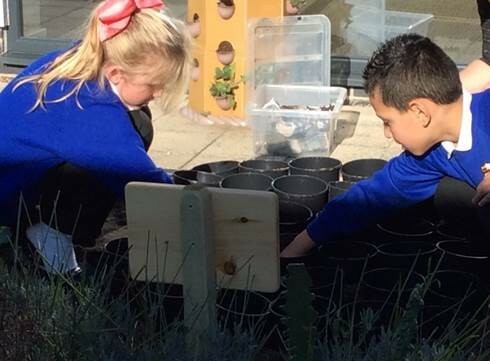 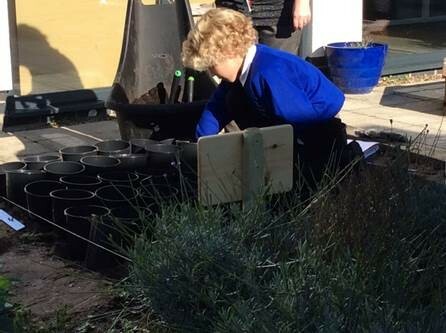 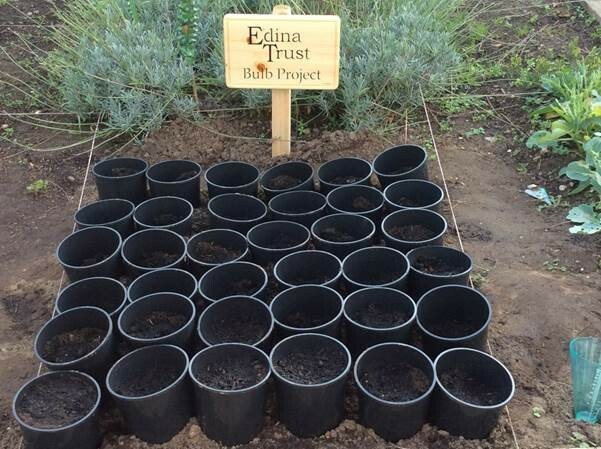 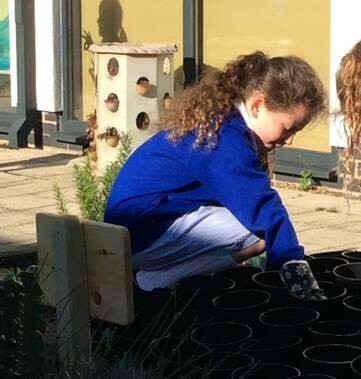 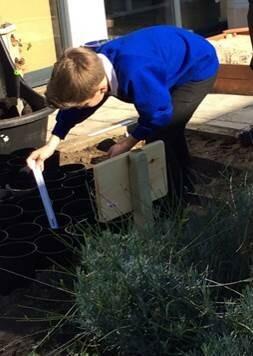 Today we planted our crocus and daffodil bulbs. 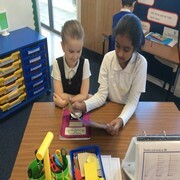 We had to follow the instructions carefully so the experiment is fair. 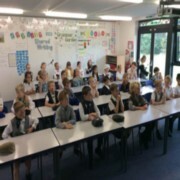 We will be monitoring the weather from November and recording it. 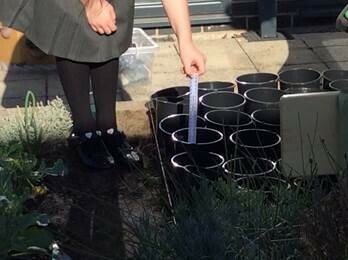 We will send this data to Professor Plant. 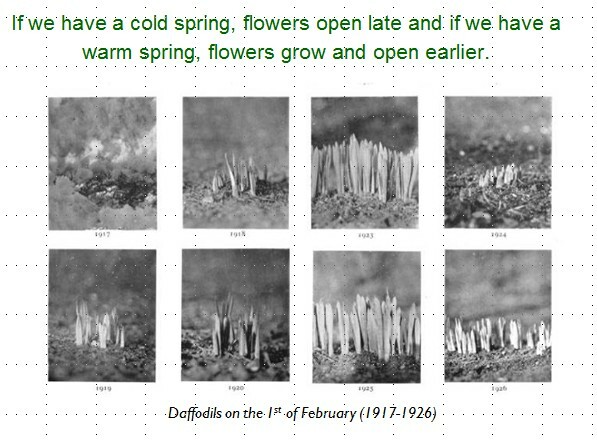 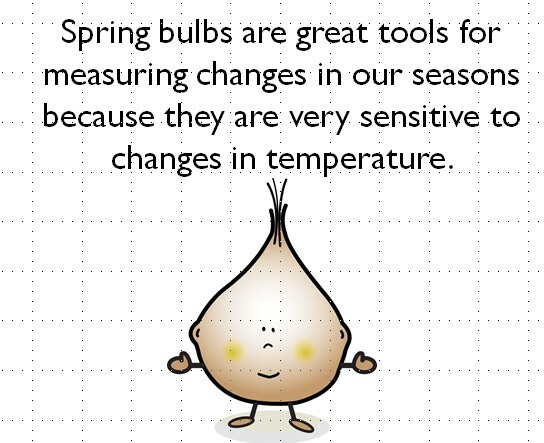 In the spring we will record when the bulbs flower. 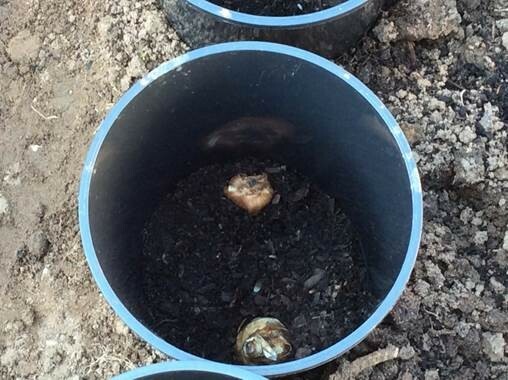 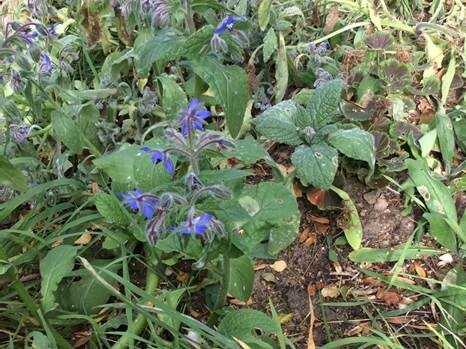 While we were planting our bulbs we noticed we have some visitors to our allotment …. 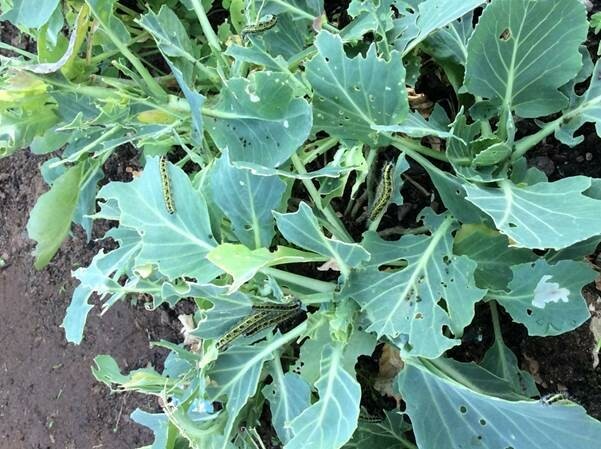 Caterpillars are loving our cabbages! 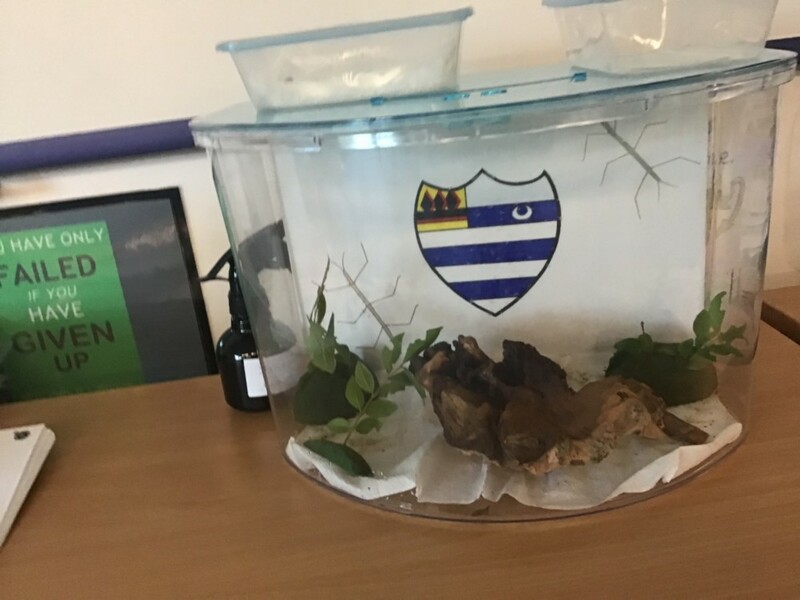 We will research what species they are. 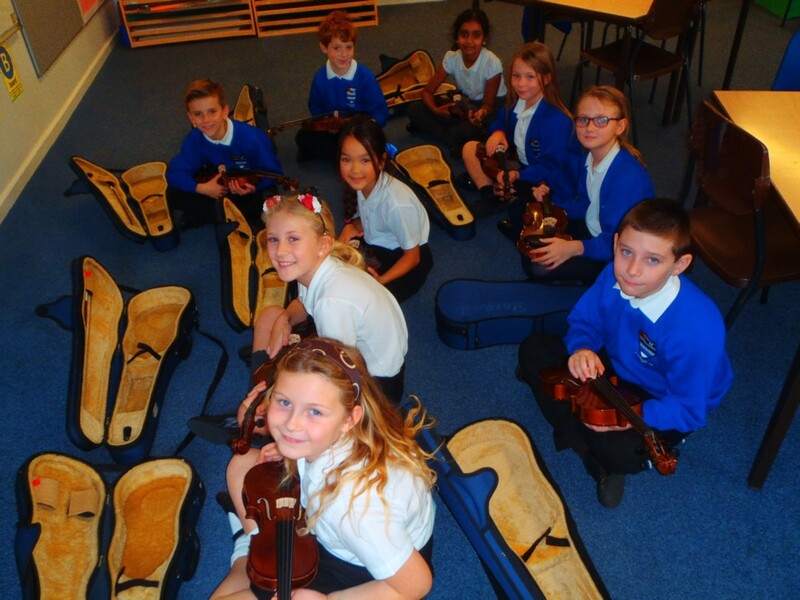 Can I learn a musical instrument? 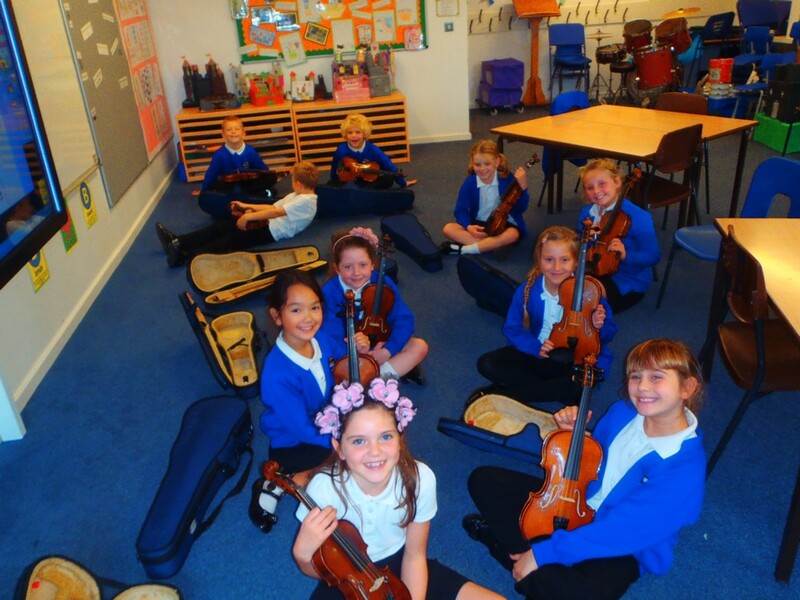 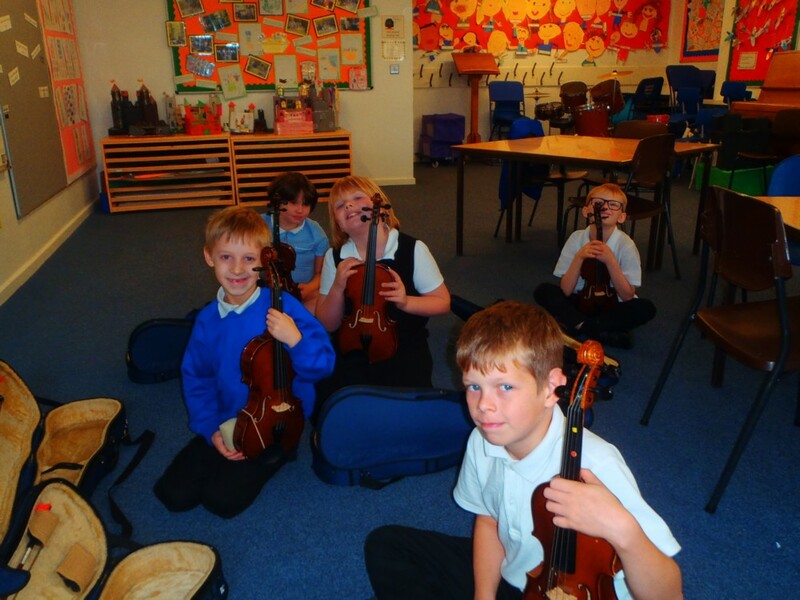 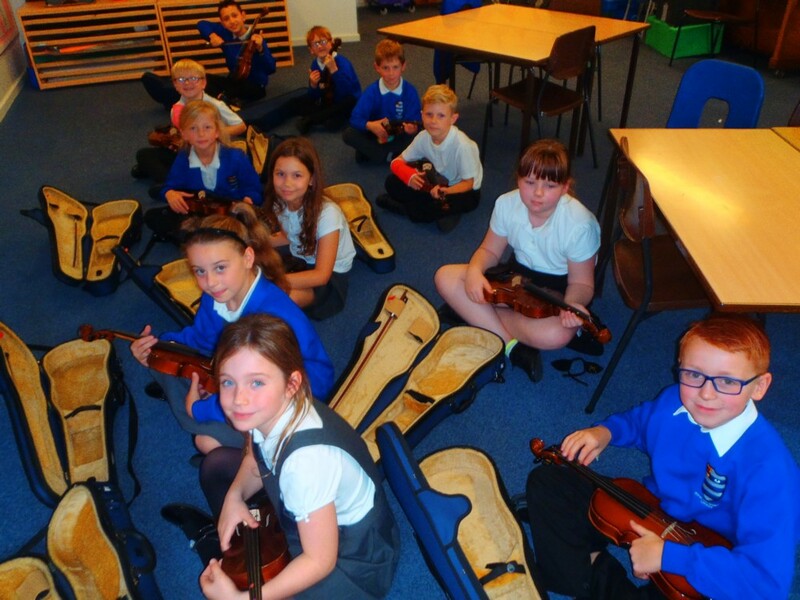 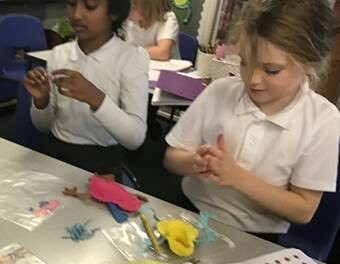 Juniper Class are all excited, as they have started having viola lessons on Wednesday afternoons with Miss Brown (principal viola player North East Lincolnshire Youth Orchestra). 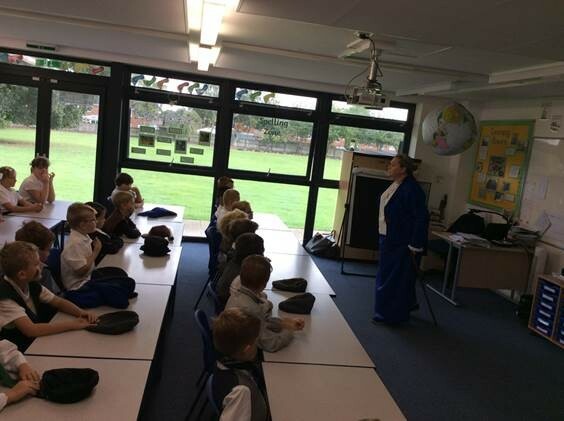 Mrs. Brady has been impressed with all the children's enthusiasm. 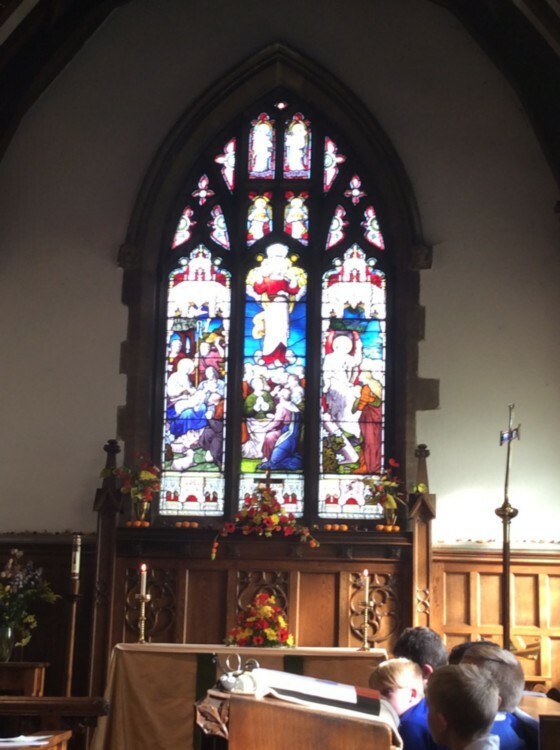 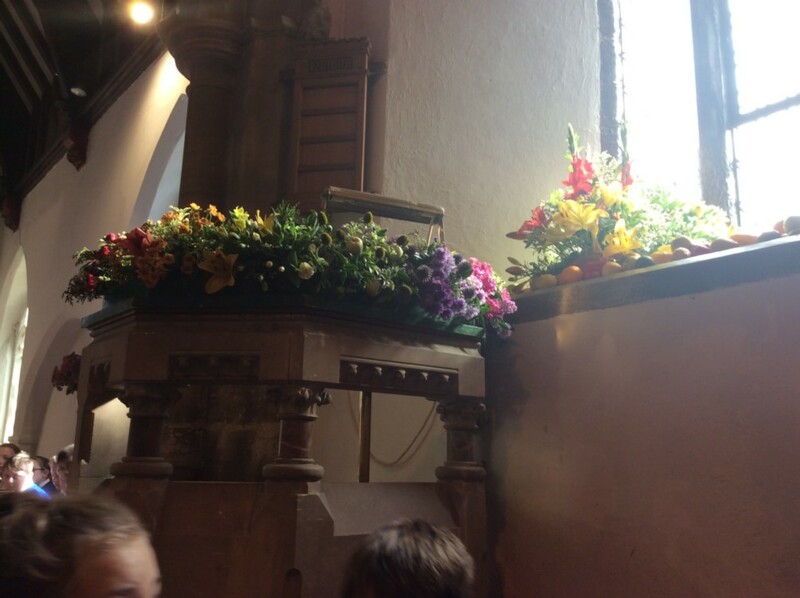 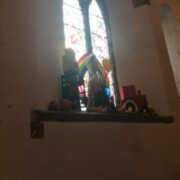 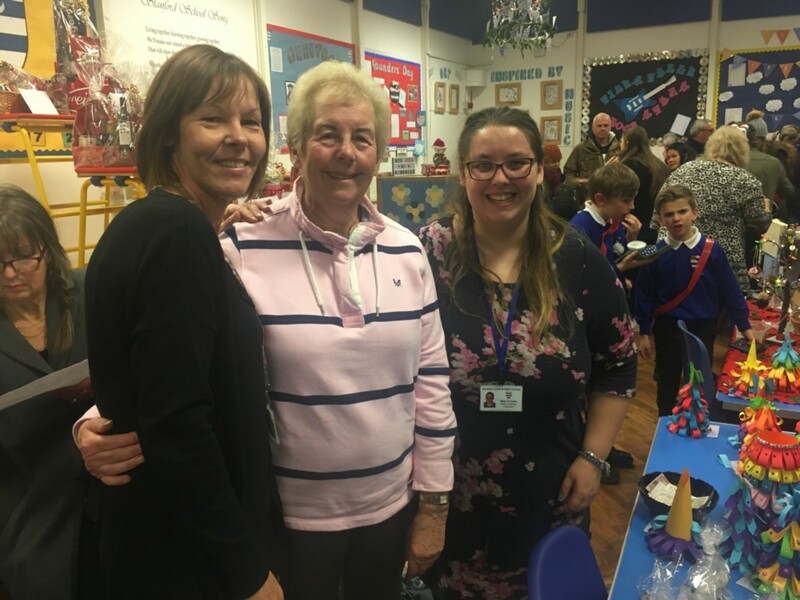 Key Stage 2 children enjoyed taking part in a harvest celebration in St Margaret’s Church, as ever the church looked lovely with its decorations created by the congregation. 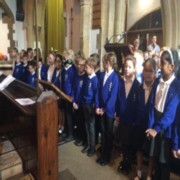 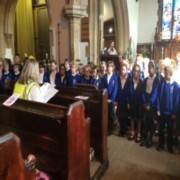 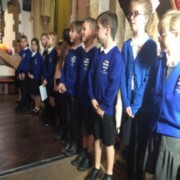 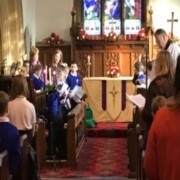 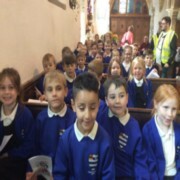 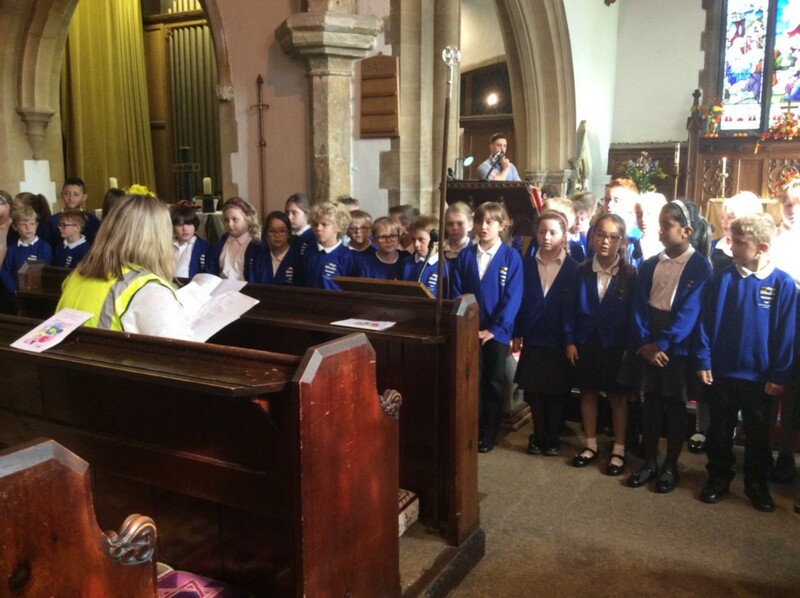 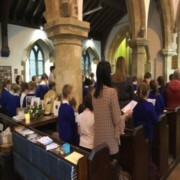 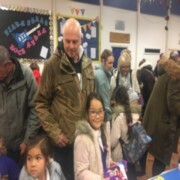 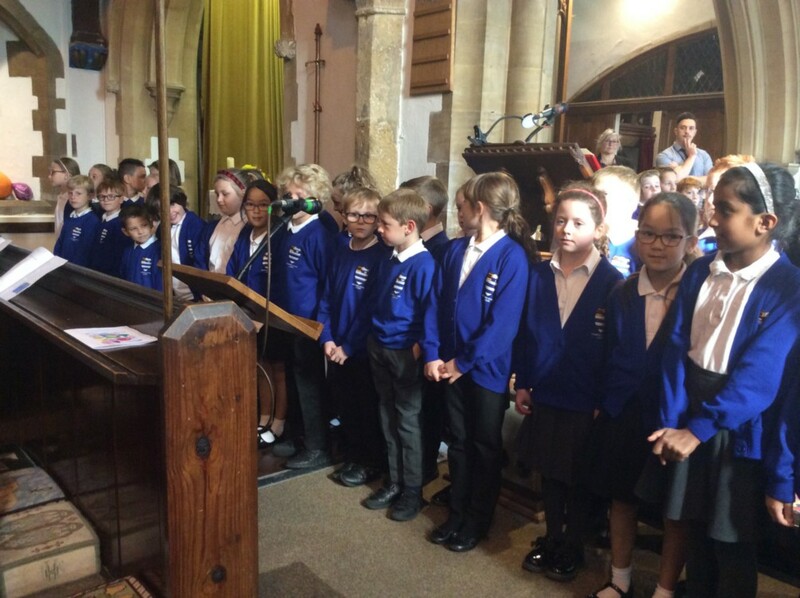 The children enjoyed singing hymns and performing harvest poems and songs. 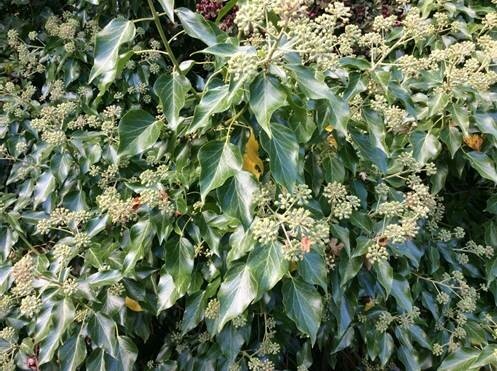 What a lovely scent there is in our quad area. 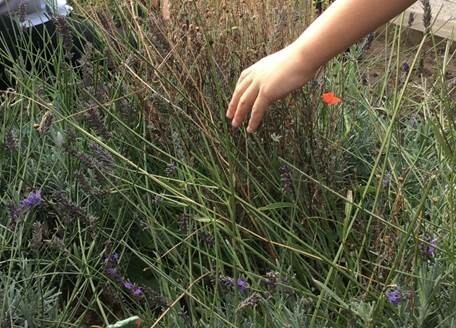 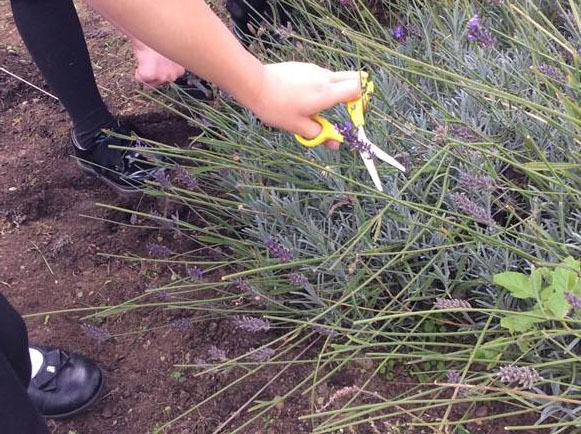 We have been harvesting out lavender this afternoon. 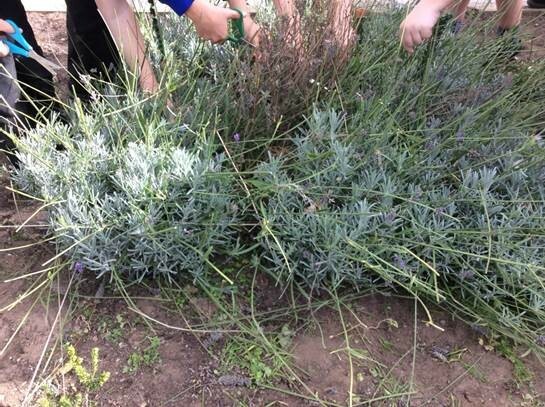 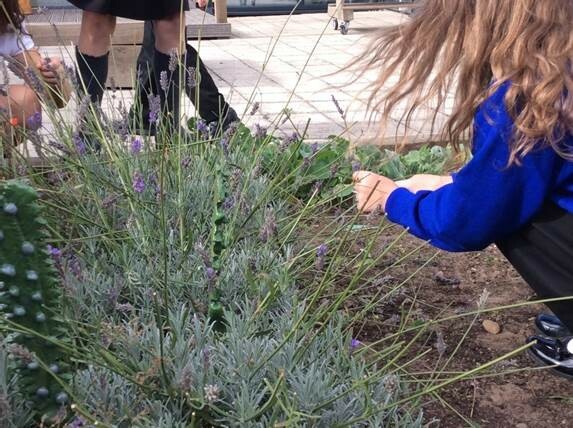 We are going to dry the flowers out and hopefully use them as a part of our enterprise project. Can I create a tile in the style of William Morris? 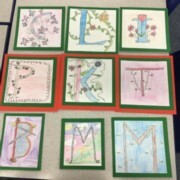 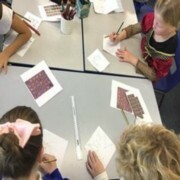 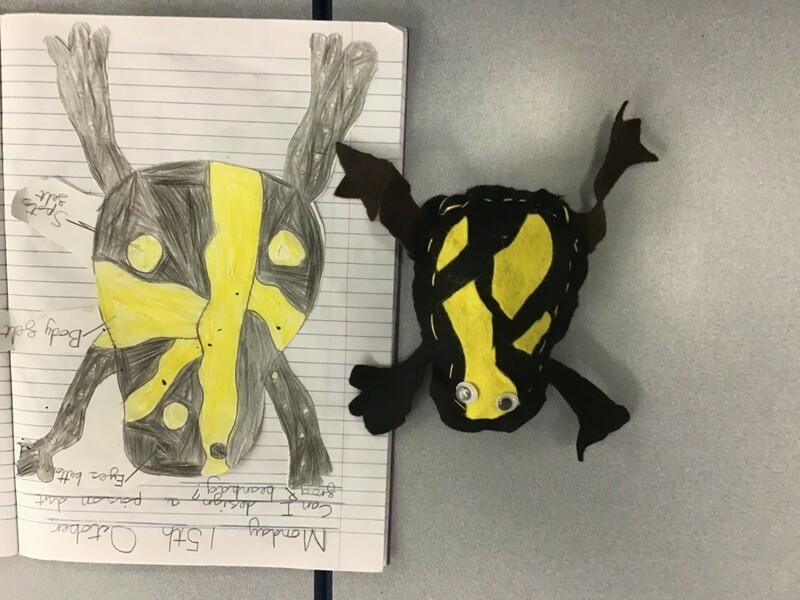 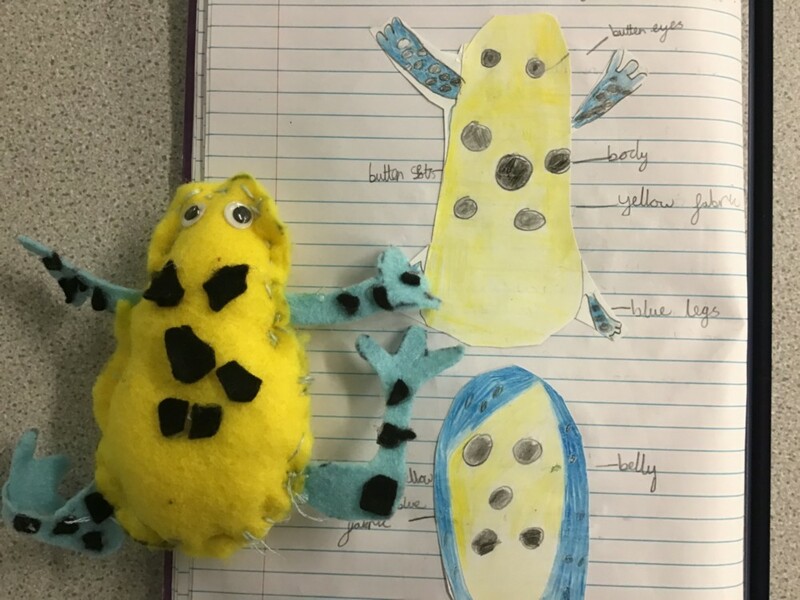 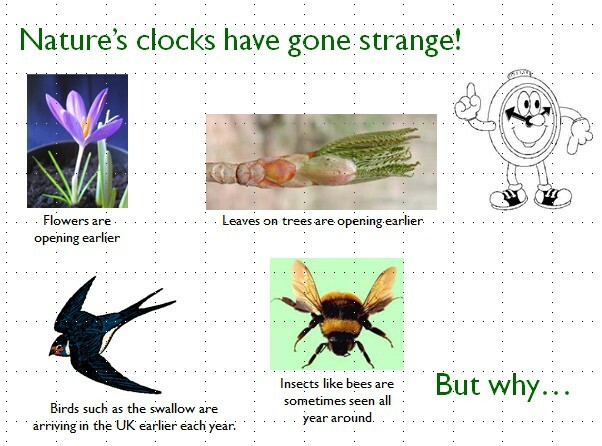 We have been looking at some of the designs created by William Morris that were inspired by nature. 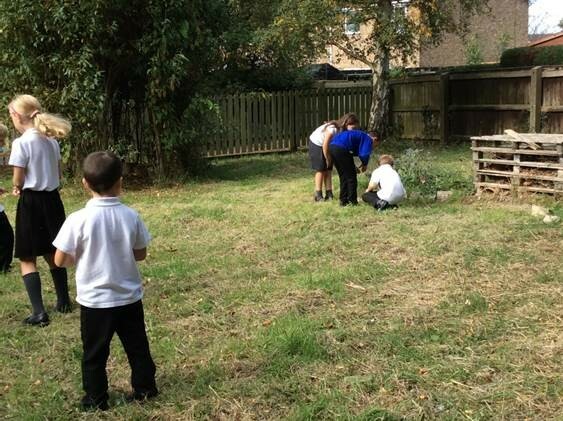 This afternoon we explored our outdoor environment looking for ideas for our tiles. 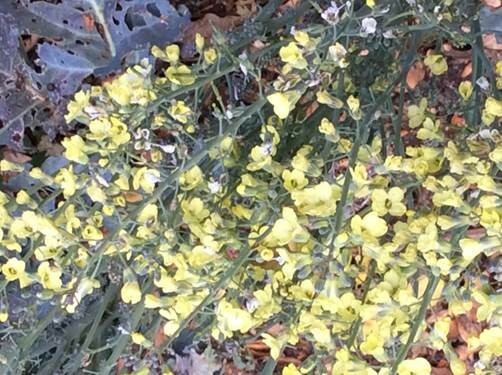 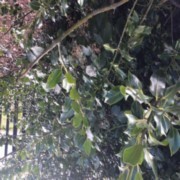 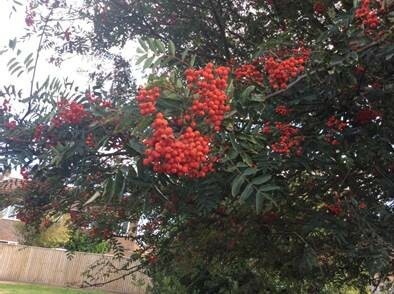 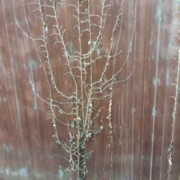 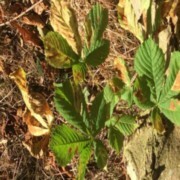 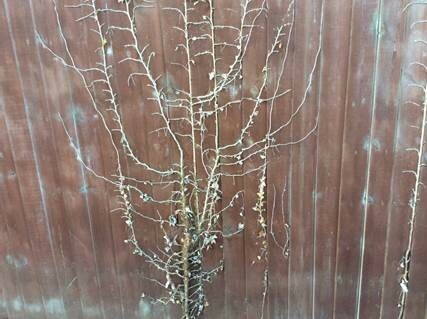 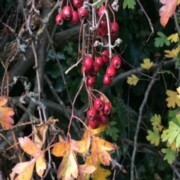 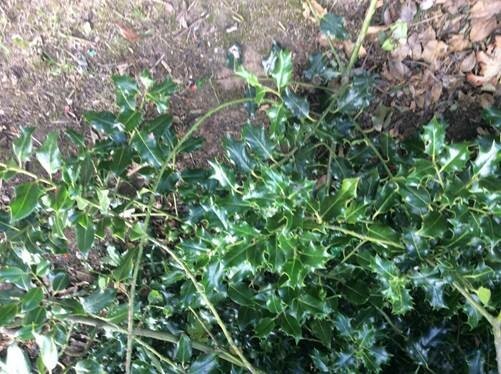 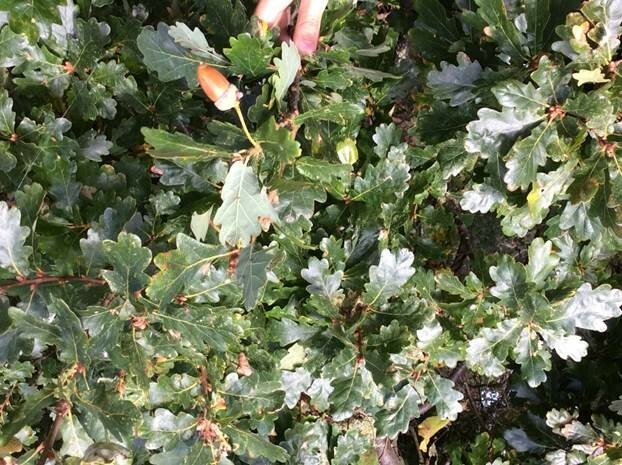 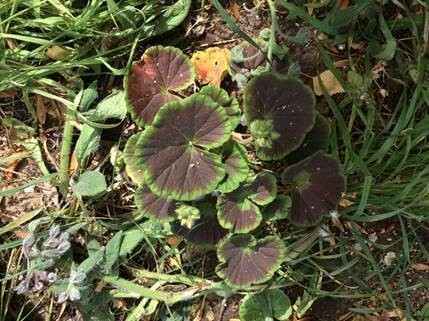 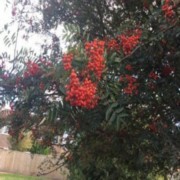 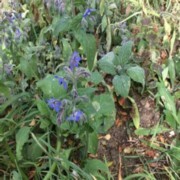 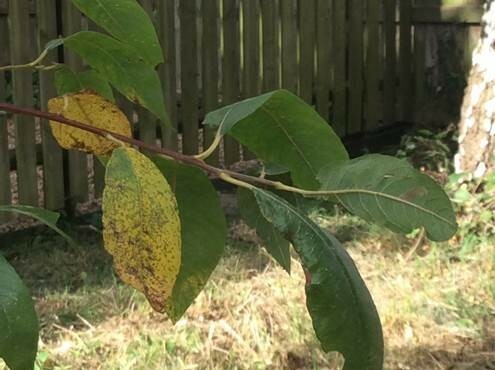 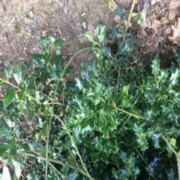 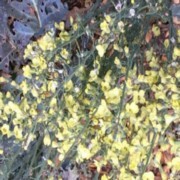 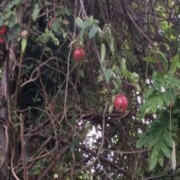 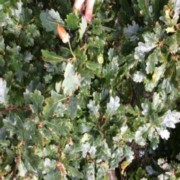 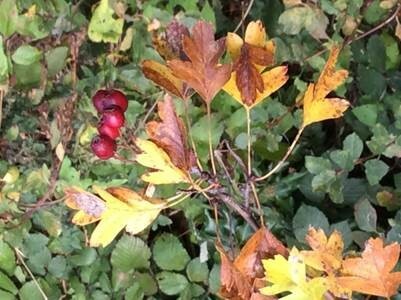 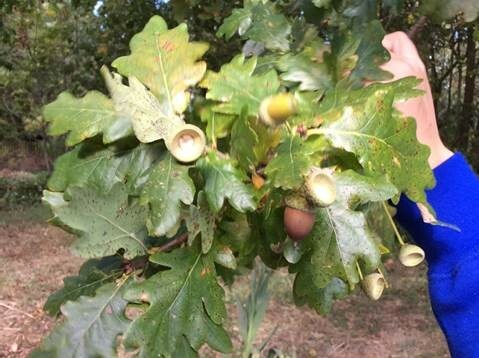 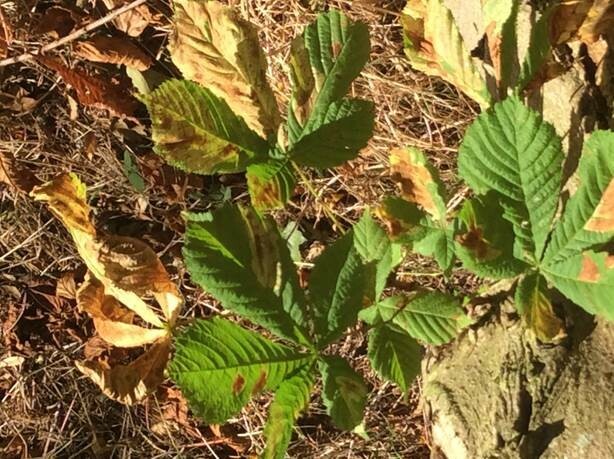 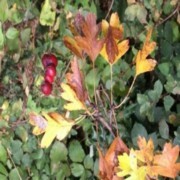 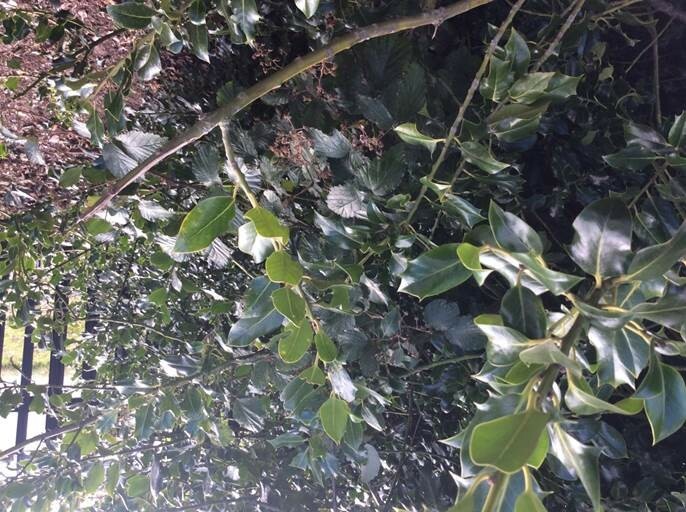 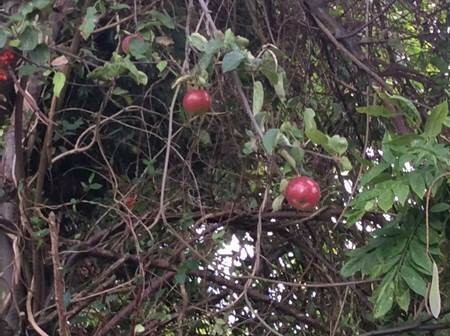 We took photos of the leaves and berries and flowers that interested us to help with our designs. To our delight we were greeted by a large number of resident frogs as we explored our nature area. They certainly surprised us as they leapt out of the grass. 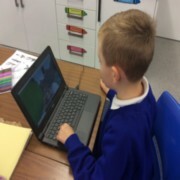 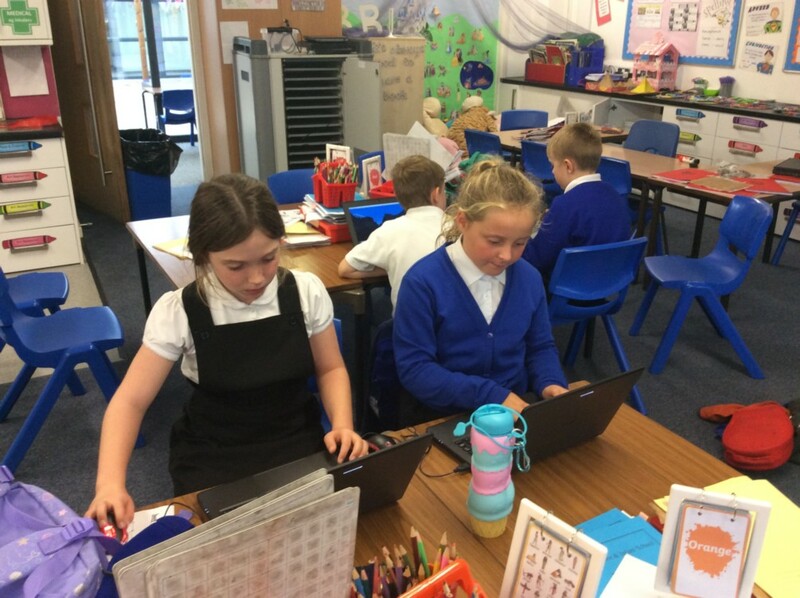 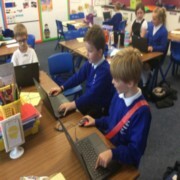 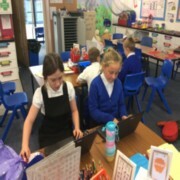 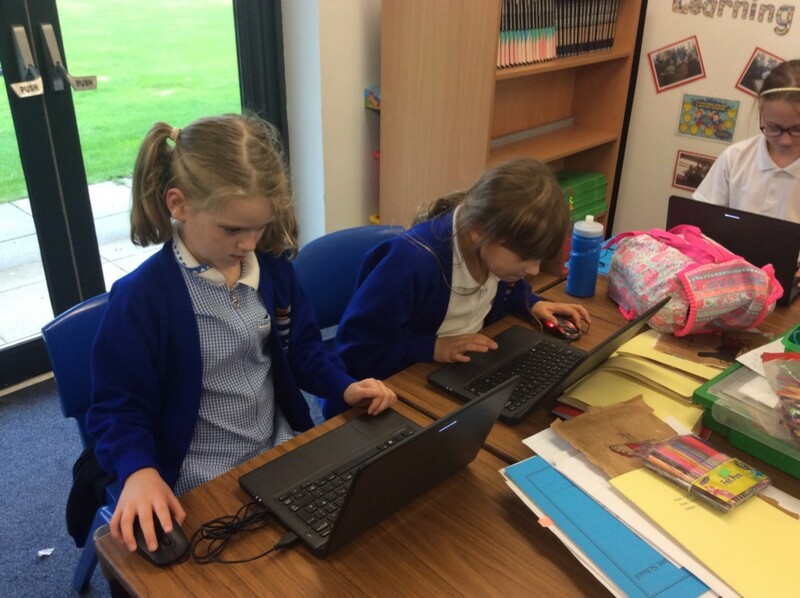 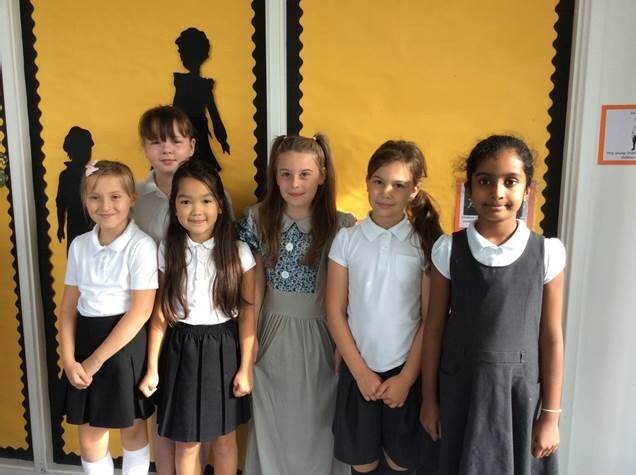 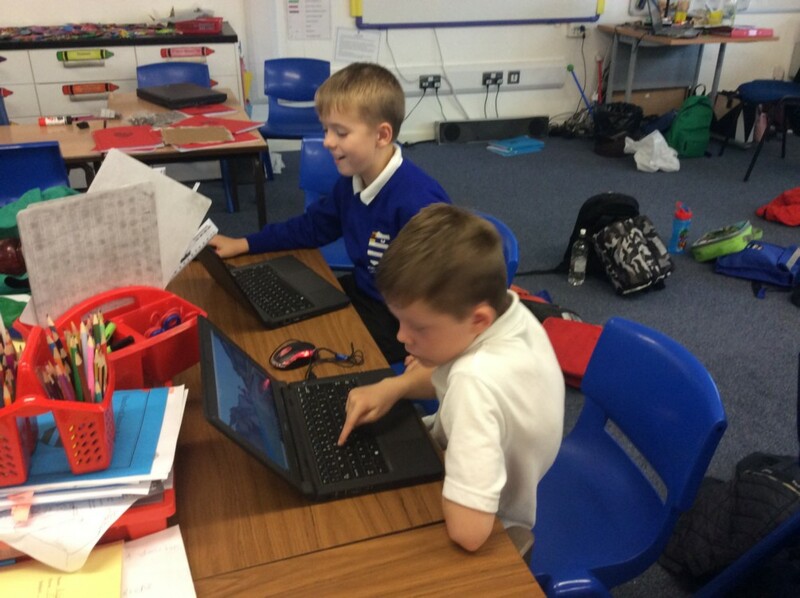 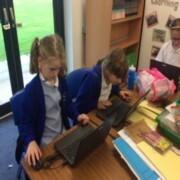 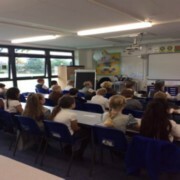 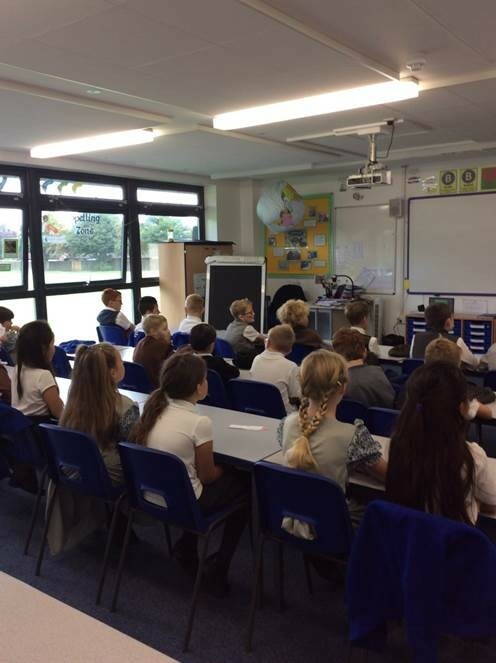 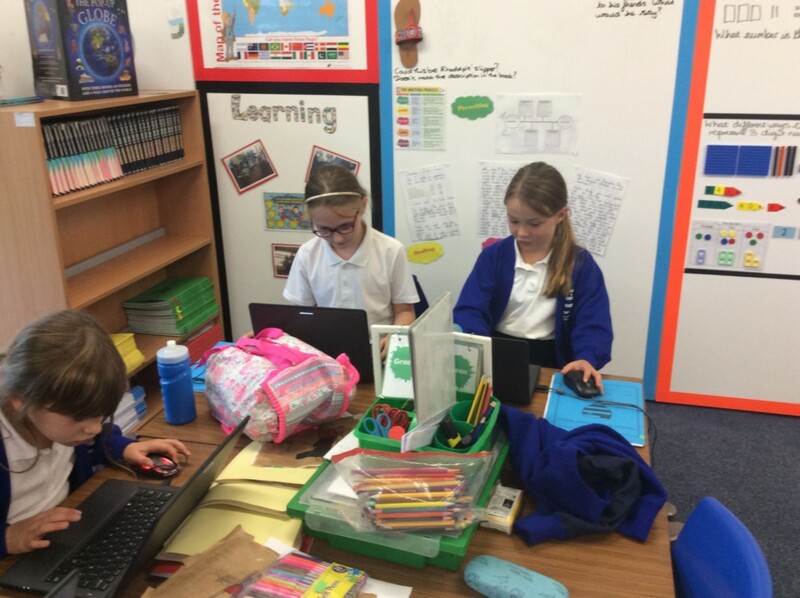 The children have been very excited to start the Year 3 & 4 Minecraft Club. 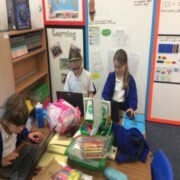 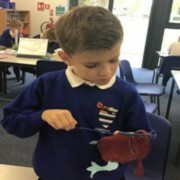 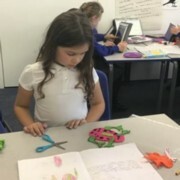 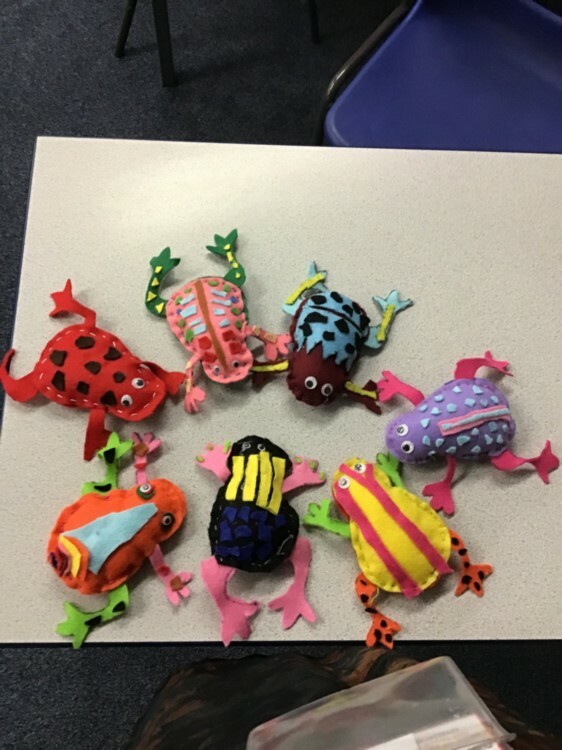 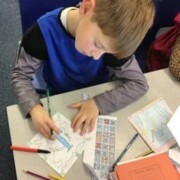 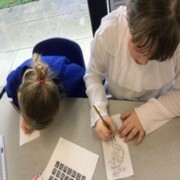 It is a great environment for the children to work together to build their own creations in a safe on-line environment. 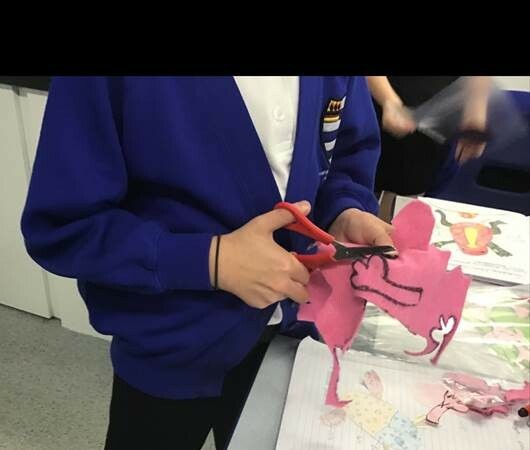 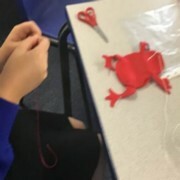 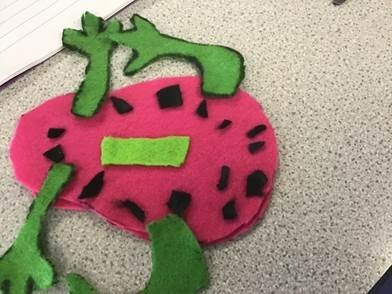 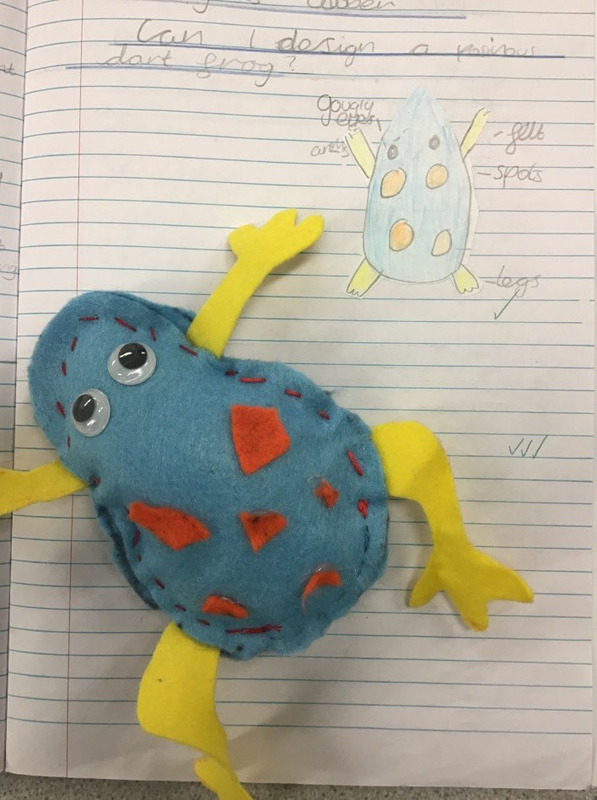 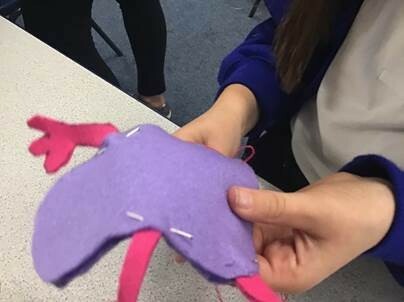 We will post photos later in the term to show what they have made. Can I investigate circuits and their components? 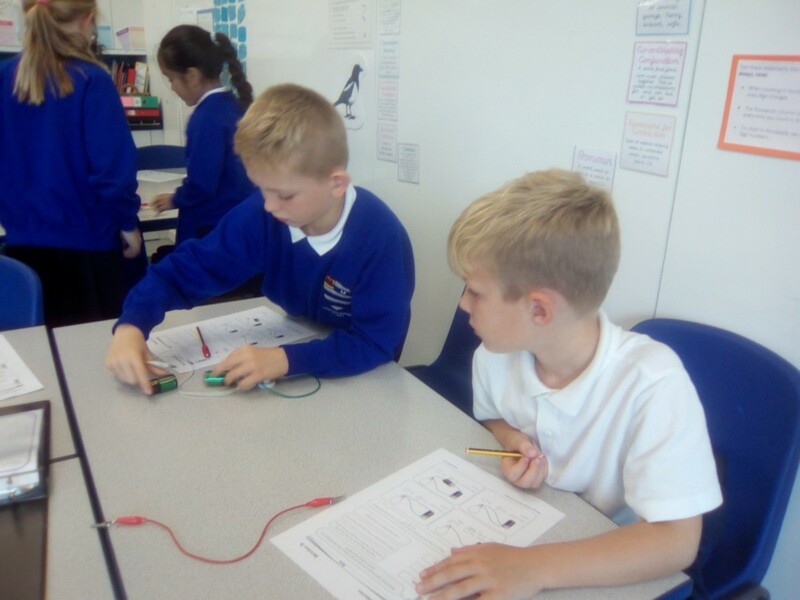 We were given pictures of different circuits. 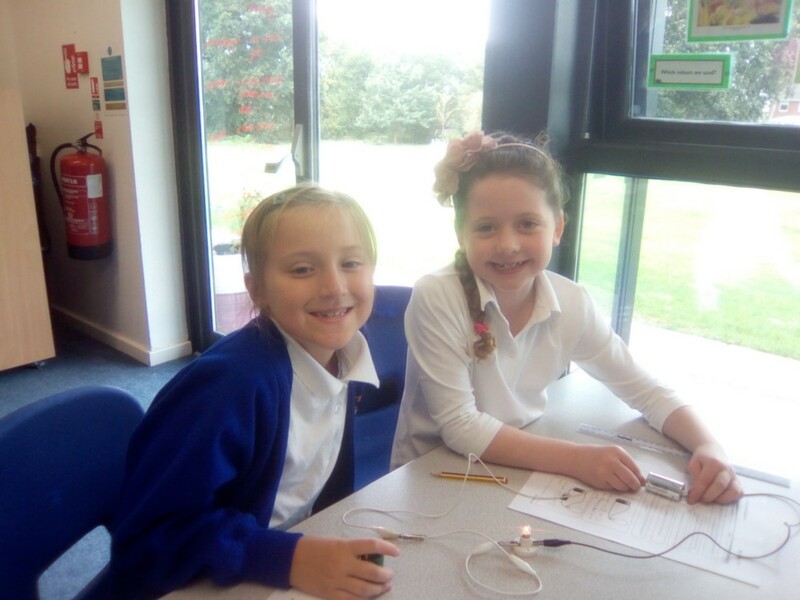 We used the equipment to investigate if the bulb would light. 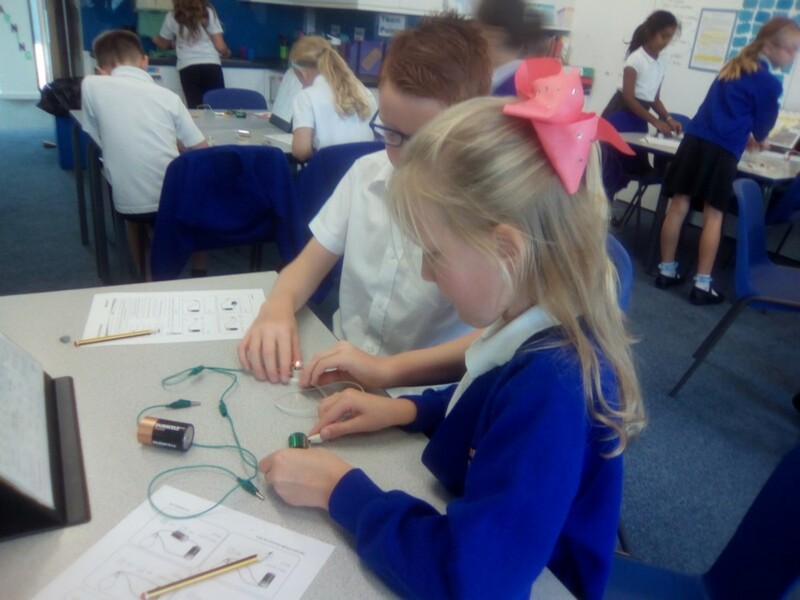 We learnt that you need a complete circuit in order for the bulb to light. 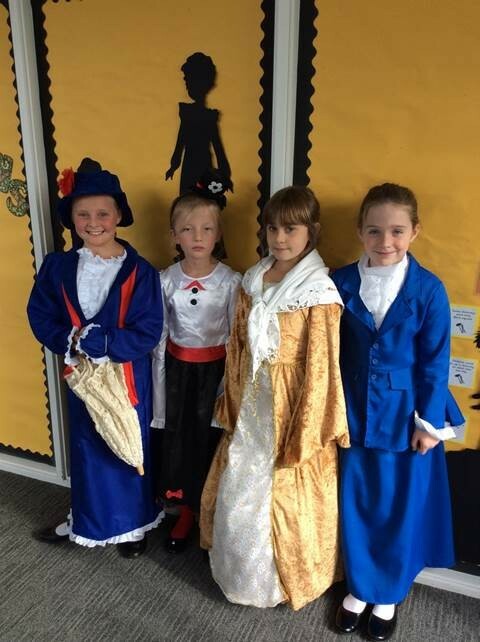 Before the day many of us researched what a Victorian might wear. We came in some fantastic costumes and were able to compare the dress with clothes today. 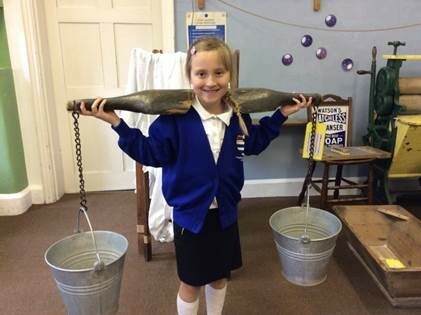 Some of us researched jobs Victorian Children may have had to do for example chimney sweep or Matches Girl. 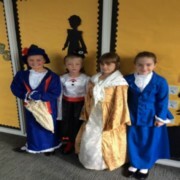 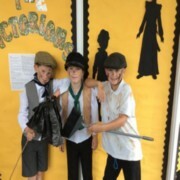 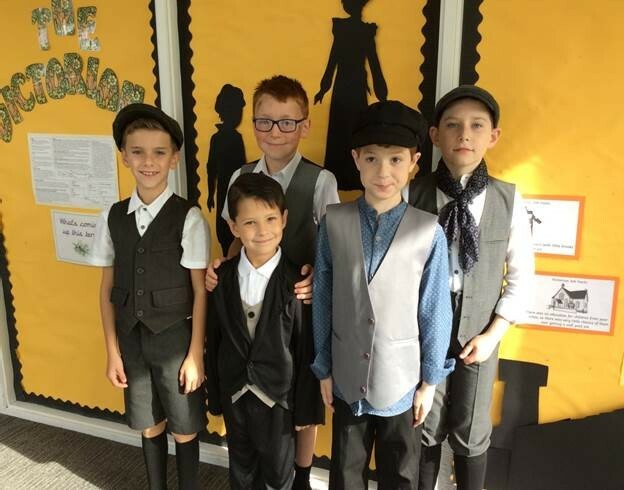 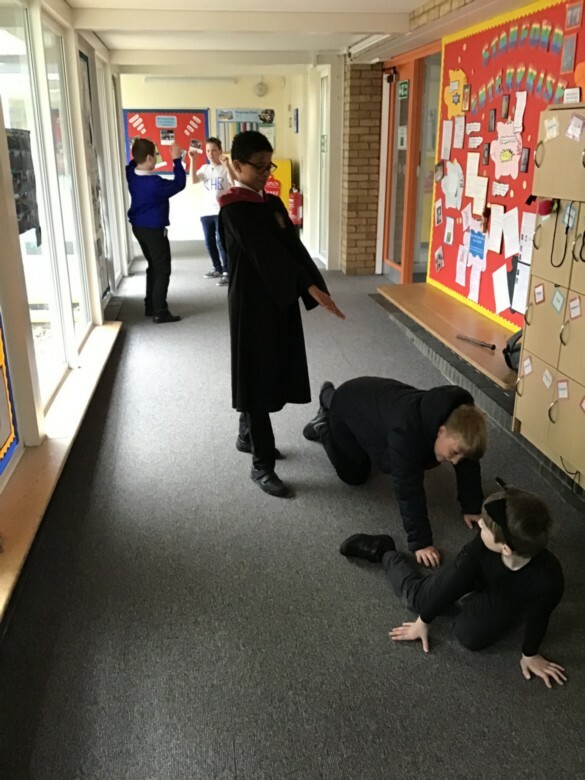 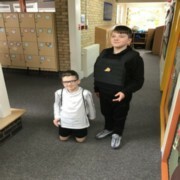 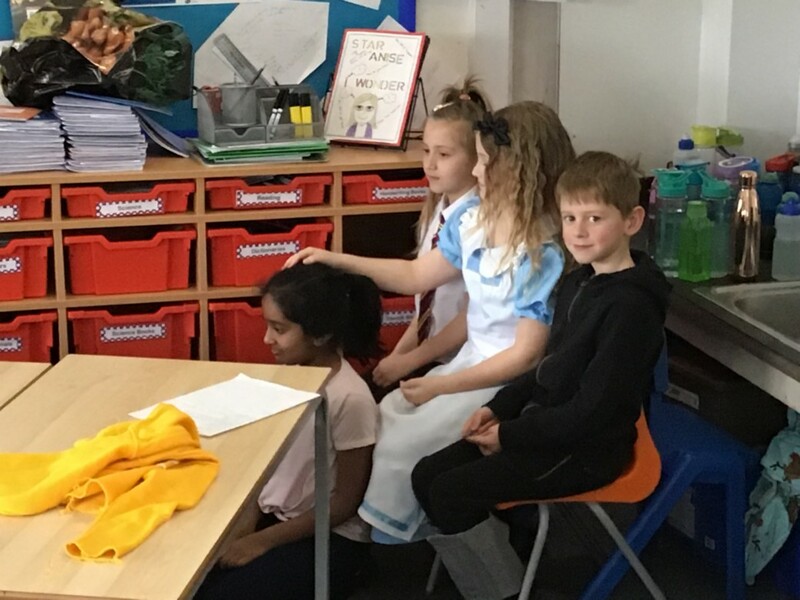 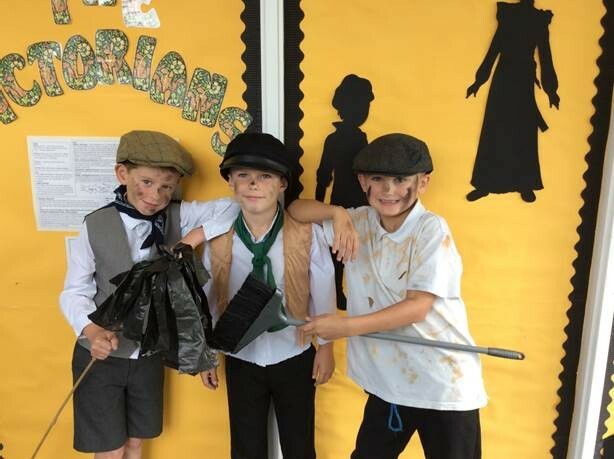 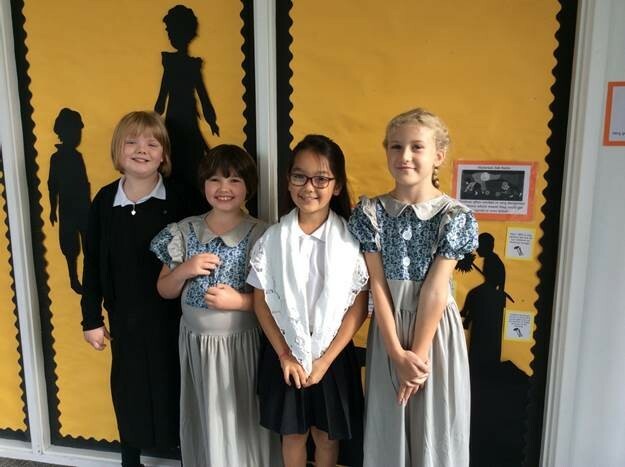 During the day we took part in a role play event where we found out what it was like to go to school during the Victorian times. 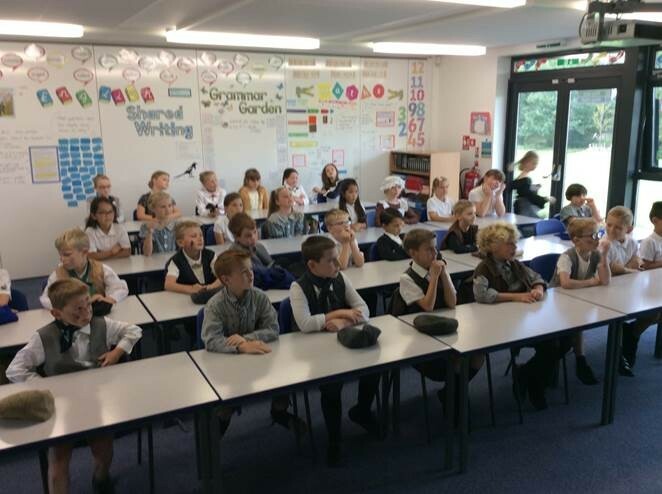 We all decided that we preferred to come to school in 2018. Can I explore the thoughts, feelings and actions of the main characters in Chapter 2 “The Stick Man”? 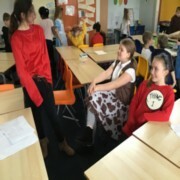 In groups we discussed the main events in the text then role played each character. This helped us to consider the thoughts, actions and opinions of each person. We worked together to act out how each character would react to the key events in the chapter. 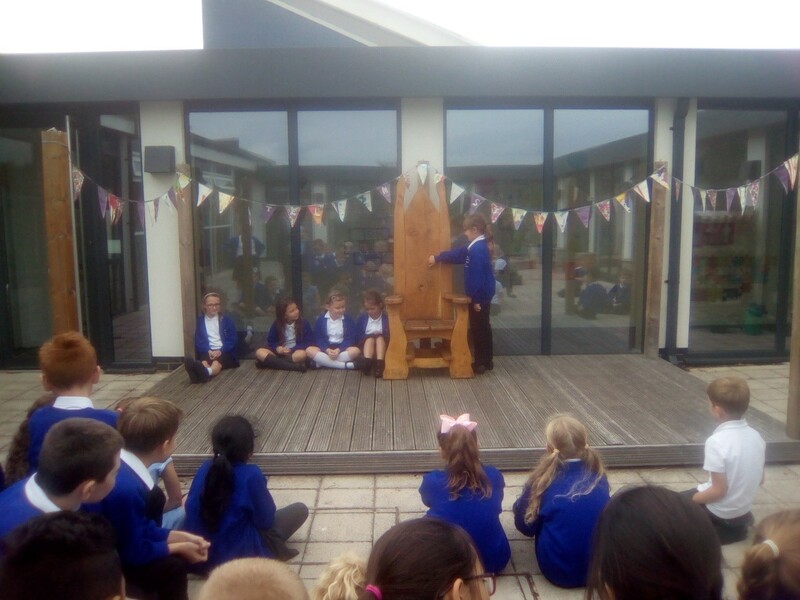 We enjoyed performing our ideas on the stage in our outdoor classroom.